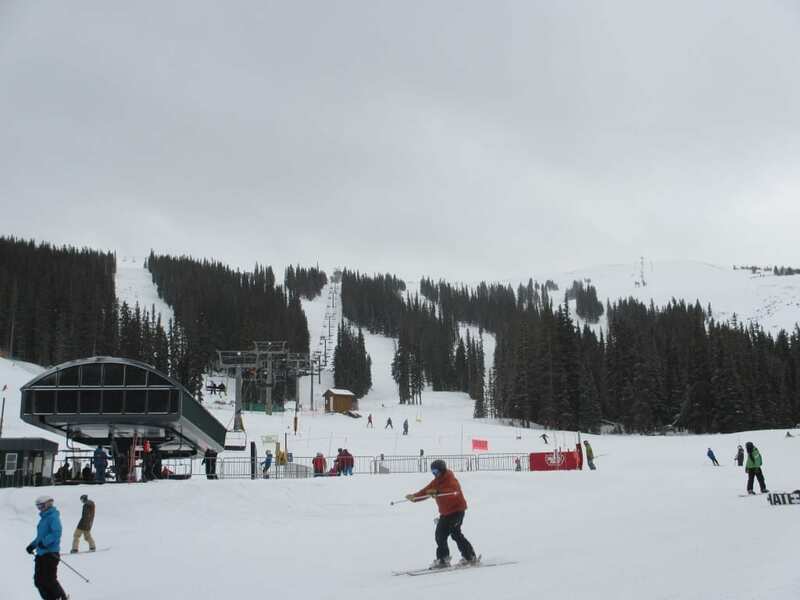 Copper Mountain is one of the least crowded ski resorts in Summit County, compared to Breck, Keystone and A Basin. 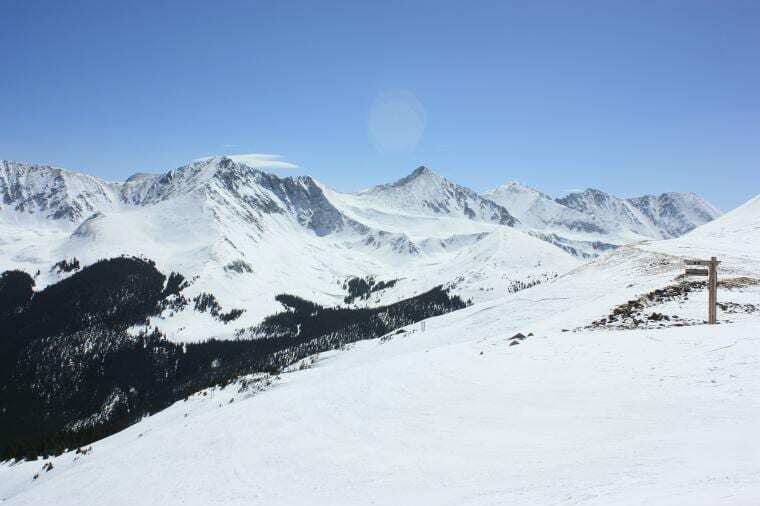 The views around Copper are spectacular and the terrain is great too. 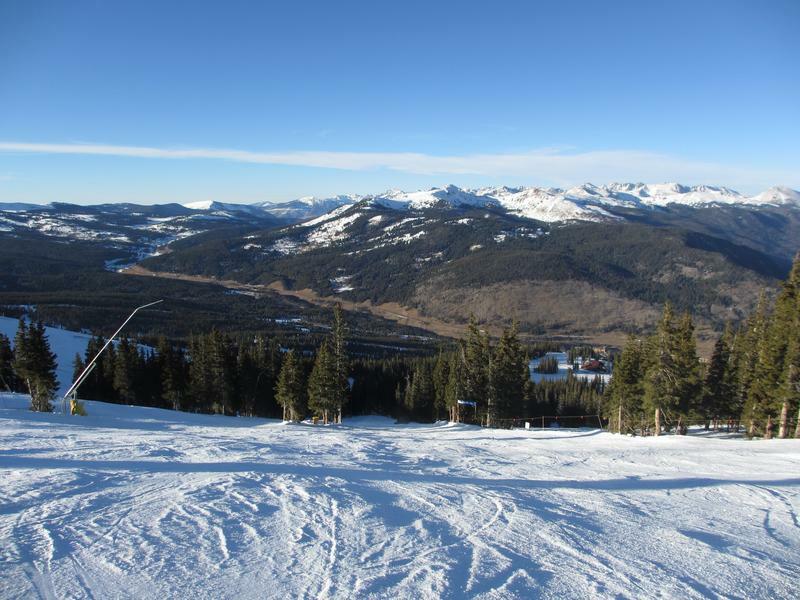 Unlimited skiing at Copper Mountain is included in the Rocky Mountain Super Pass, which also offers riding at Winter Park and Steamboat. 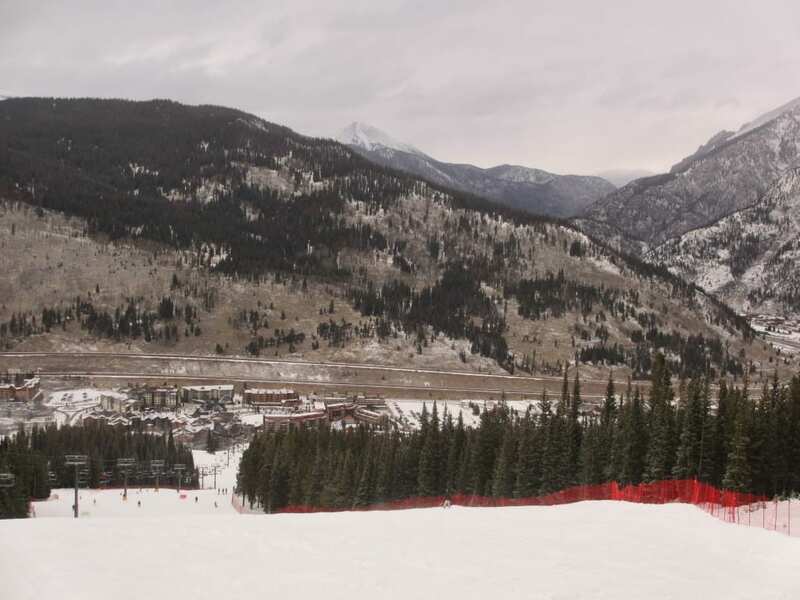 The mountain is full of everything: easy learning areas, fast groomers, steeps, bumps. 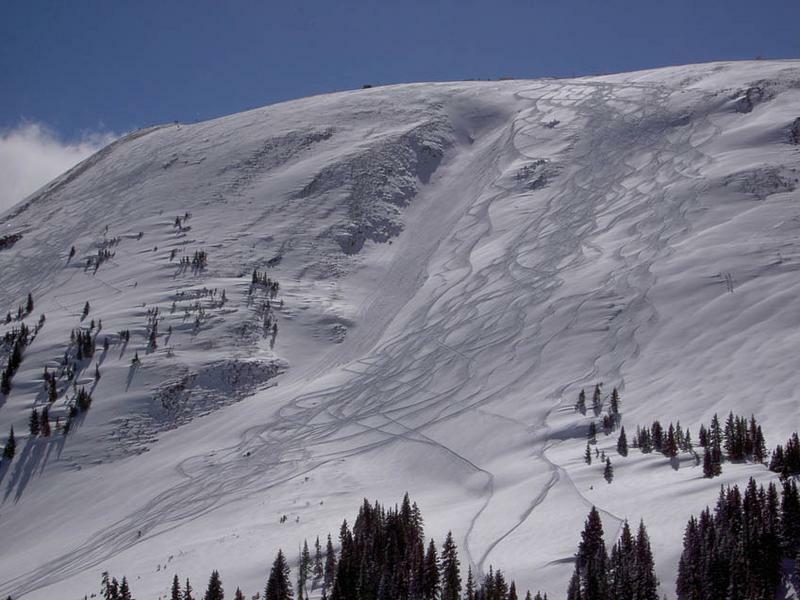 cliffs, chutes, cornices, bowls, hike access, trees, and freestyle parks. 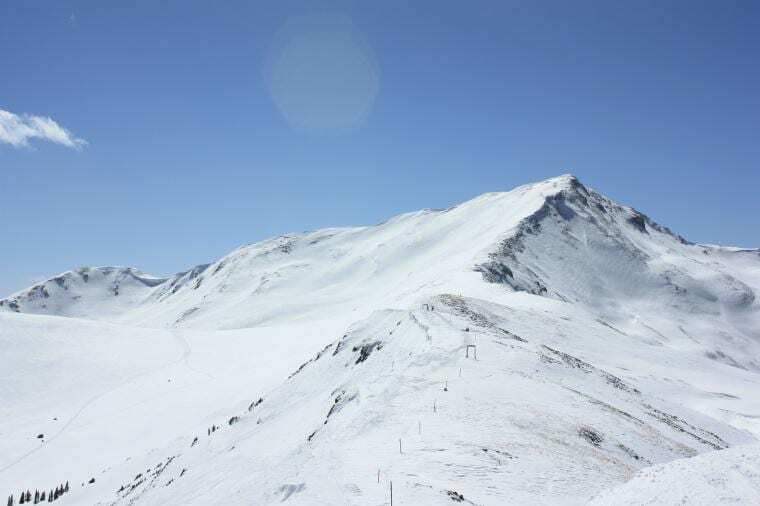 Copper’s terrain is naturally divided in difficulty and slope from east to west. There are 126 total runs. 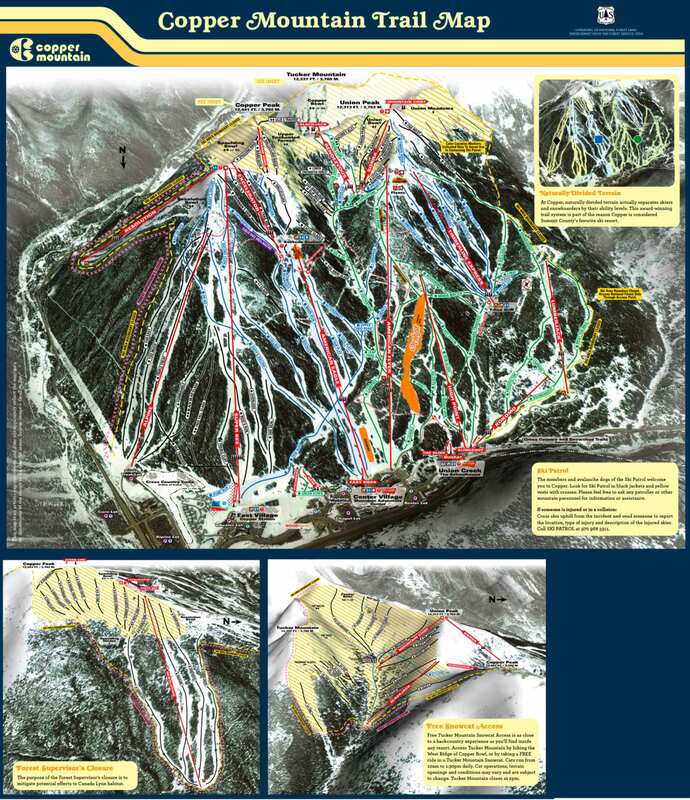 The west side of the resort, (the right side looking at trail map) is full of green and blue runs. 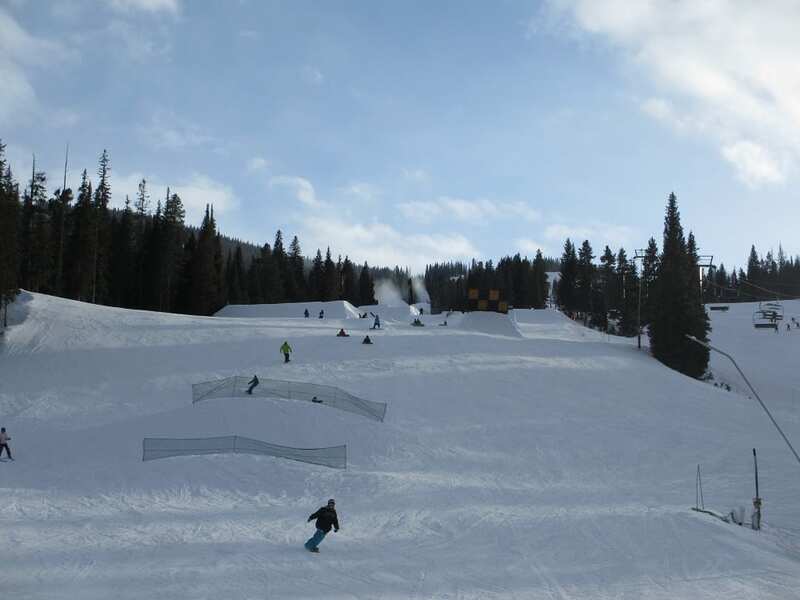 In the center of the mountain is intermediate terrain, fun for anyone looking for long, faster groomers. 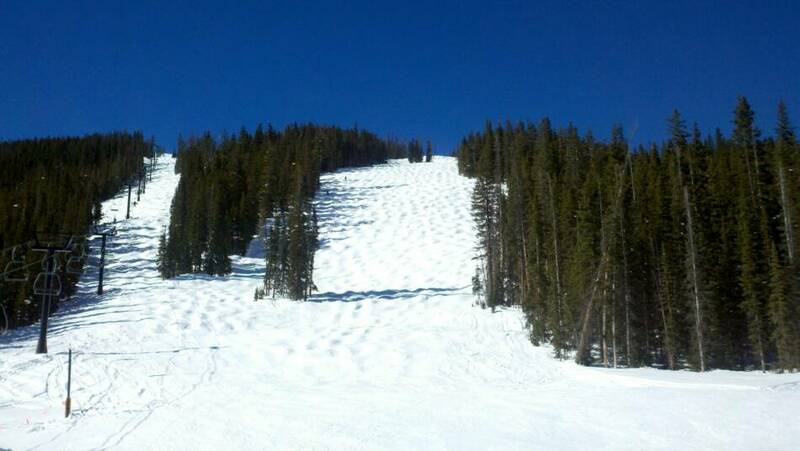 On the east side is expert steeps and bumps. 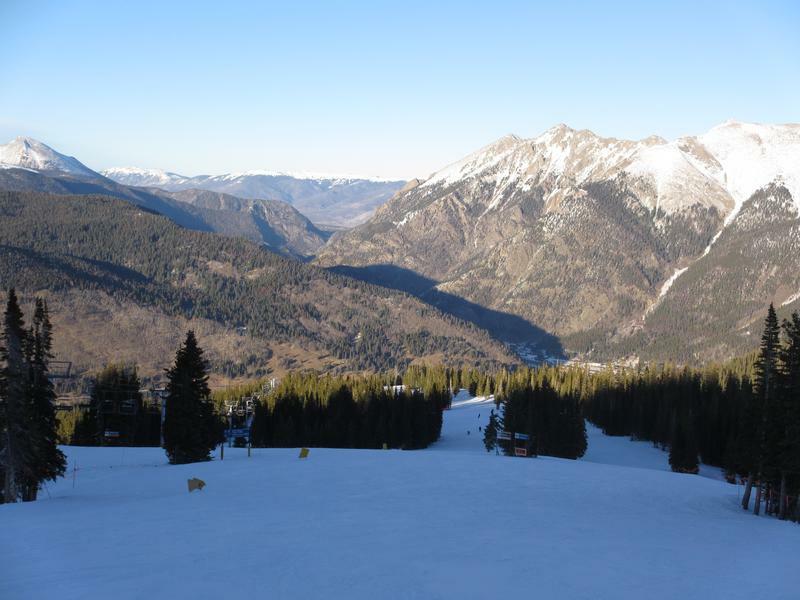 The backside is full of breathtaking mountain scenery and big bowl skiing. 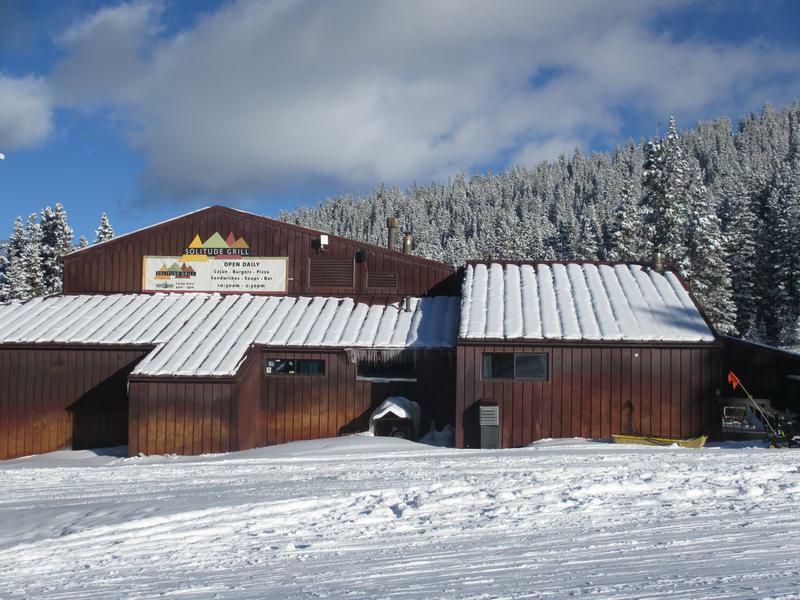 If you are into tree skiing, this would be the place to go. 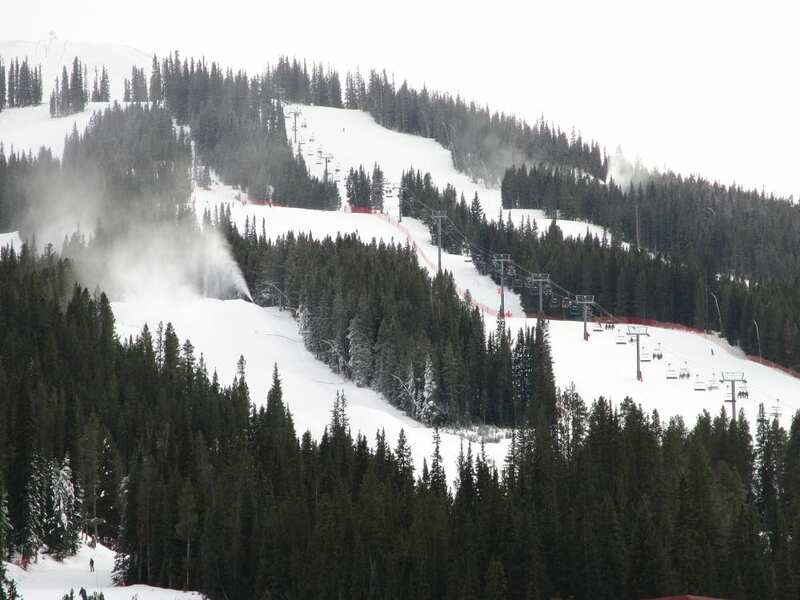 Copper Mountain offers free Tucker Mountain snow cat rides to powder stashes on certain days, mostly weekends. 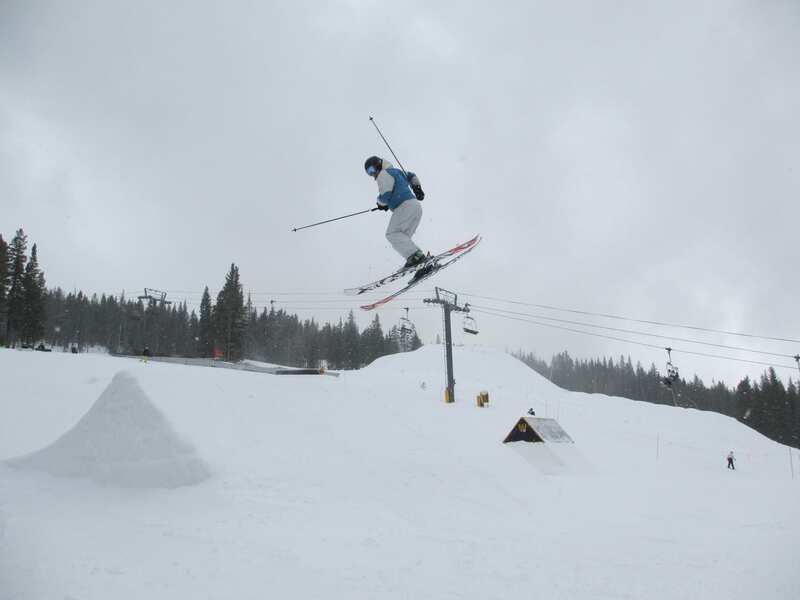 There is a terrain park full of features at the top of the American Eagle chair lift. 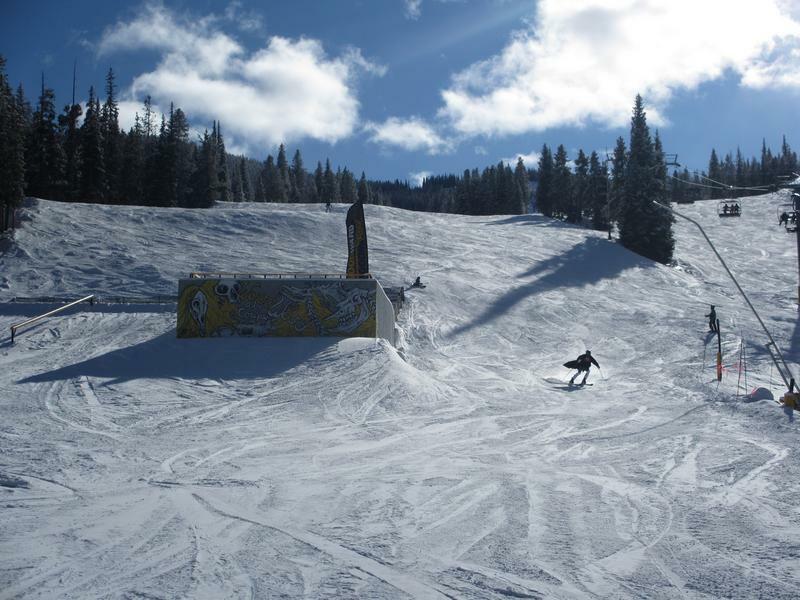 Just like the terrain at copper, the terrain park varies in difficulty from east to west. 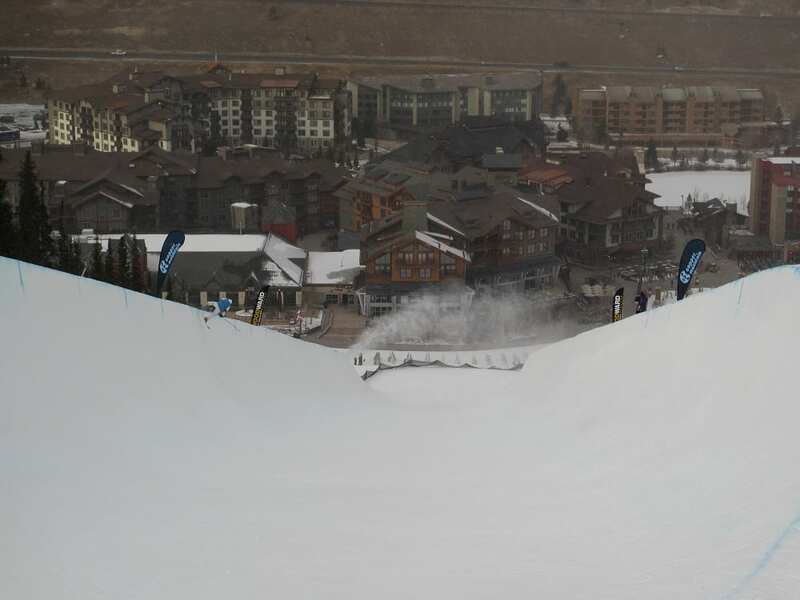 At the base of the Central Village is a giant superpipe. 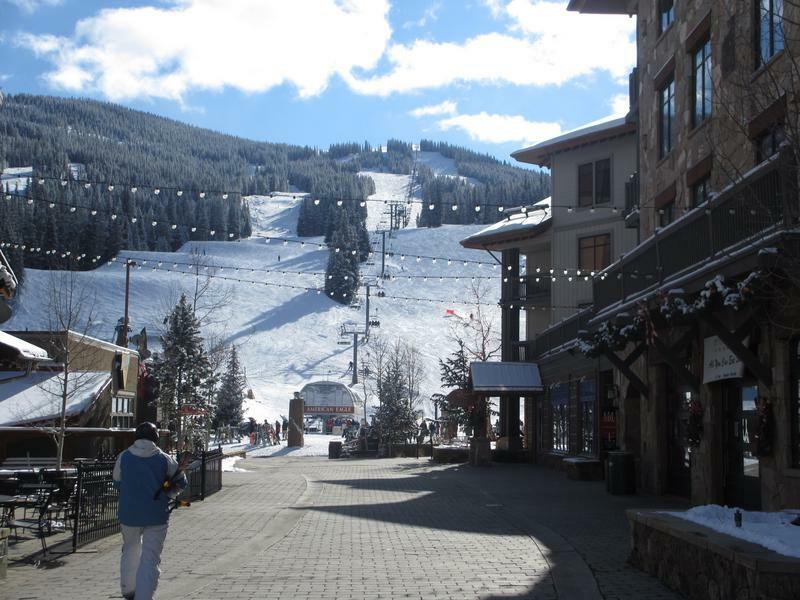 Copper Mountain has three base villages, East, Central, and Union Creek. 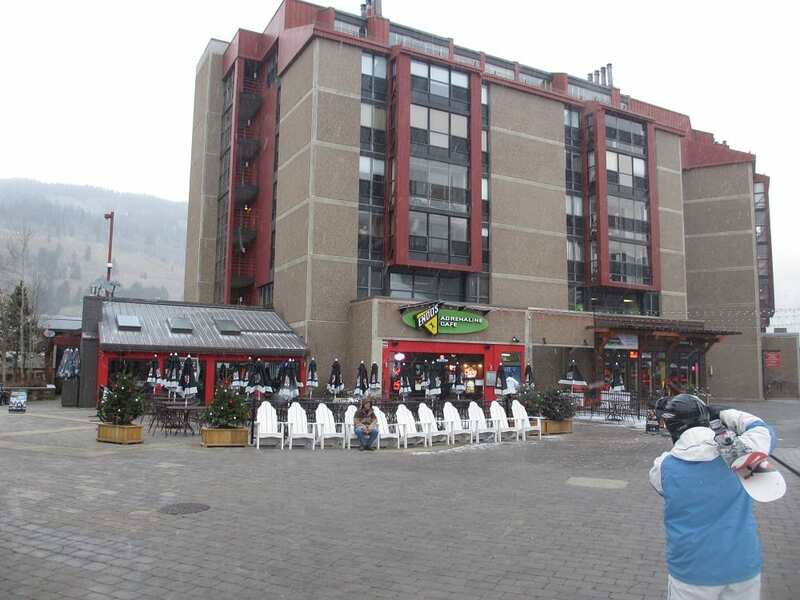 Central Village is the main one with the most restaurants, bar, shopping and activities like a rock climbing wall and an outdoor ice rink. 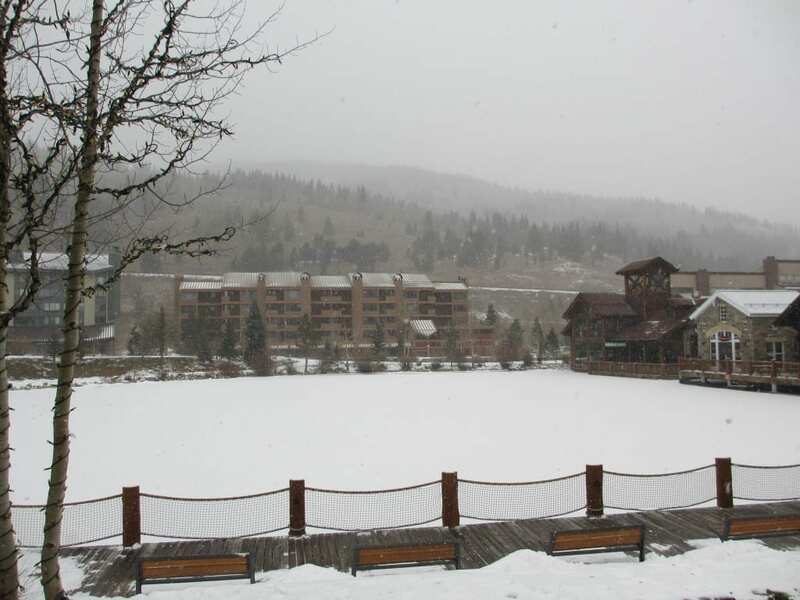 The resort also features snow tubing. 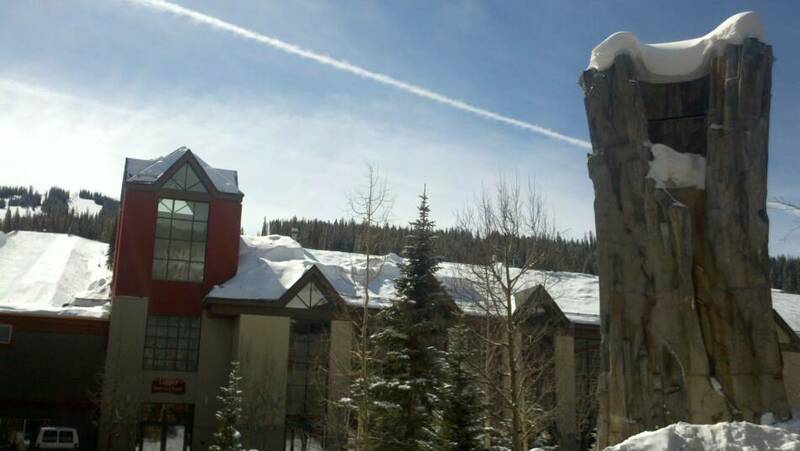 Lodging is available throughout town and nearby Summit County. You’ll easily be able to find all levels of accommodations. 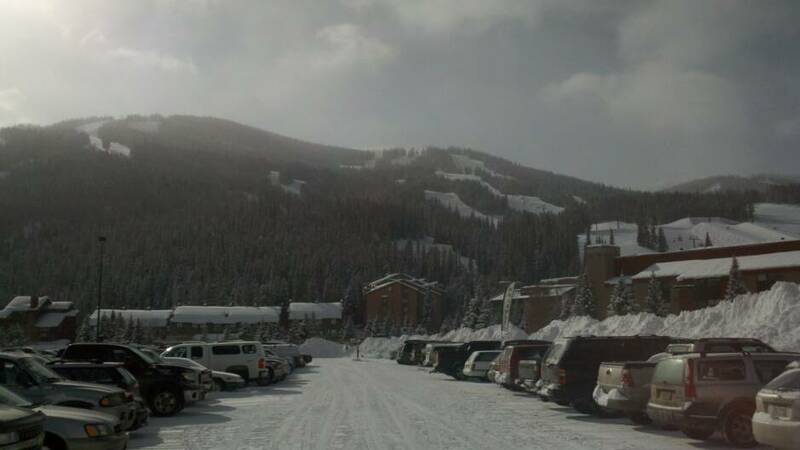 Both free and paid parking is available at Copper. 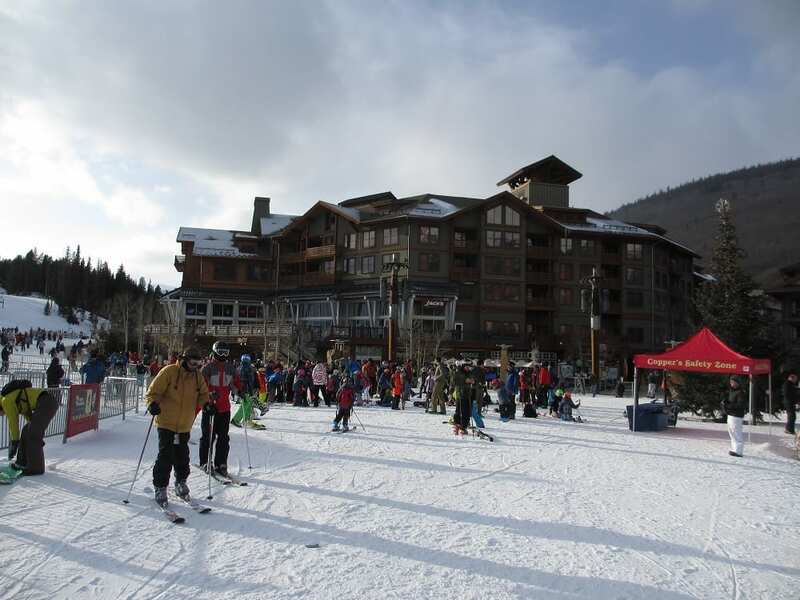 Free direct shuttles will take you from the Alpine Lot free lot to the base villages. American Eagle lift going up to the summit. 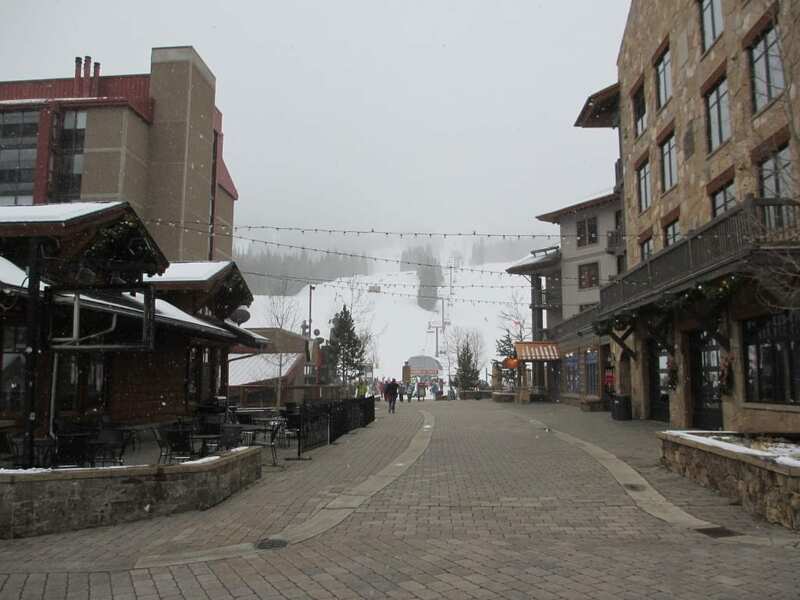 Walking towards the American Eagle lift. A caped man coming down the mountain. 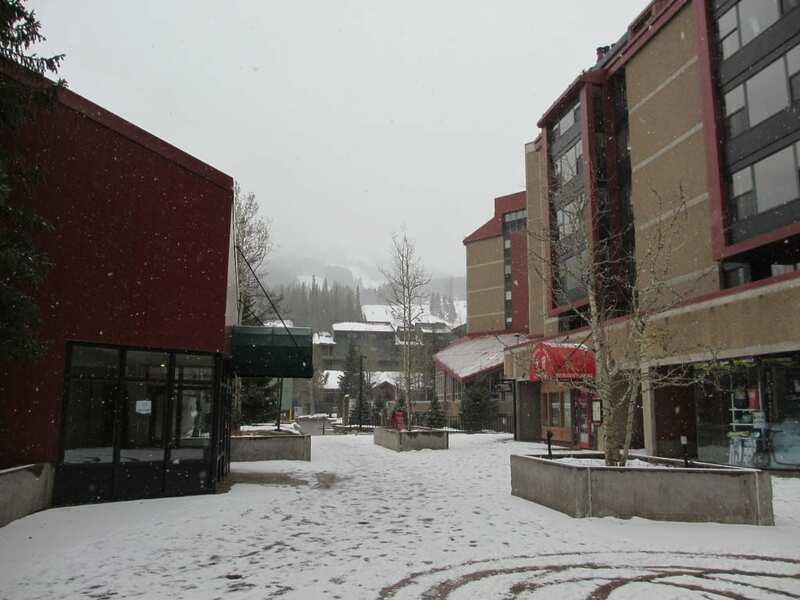 Aerial view of Center Village (left), East Village (right) and parking. Tree skiing on the back side. 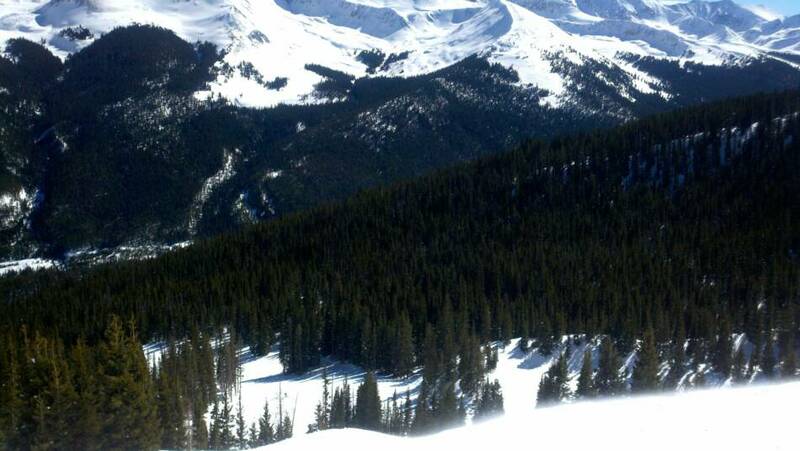 Looking towards the Vail Pass. Blue trail from the top. 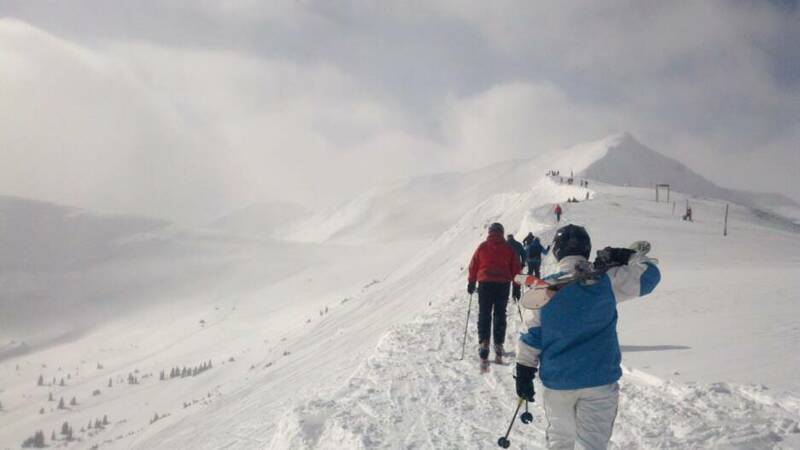 March 22, 2010 – Copper Mountain is always worth the trip. 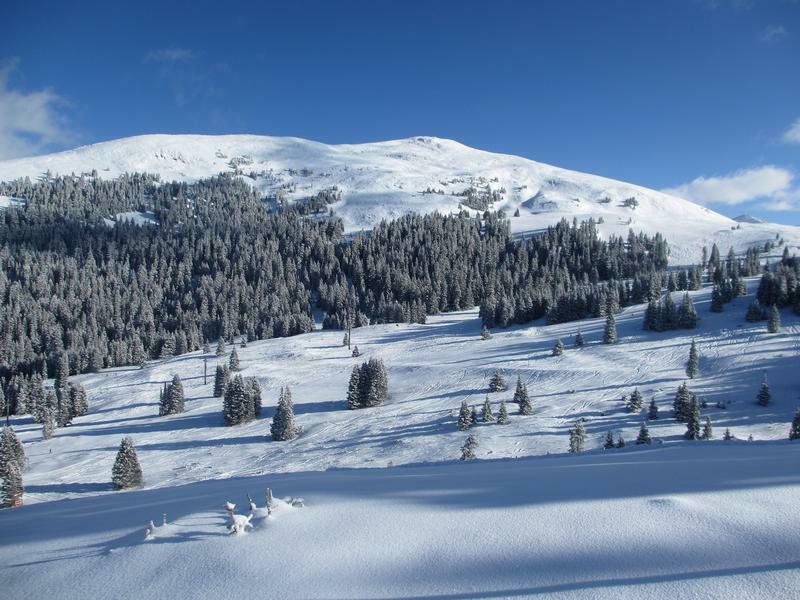 It is a big mountain with lots of different terrain options: groomers, steeps, bowls, trees (trees are only o.k.). 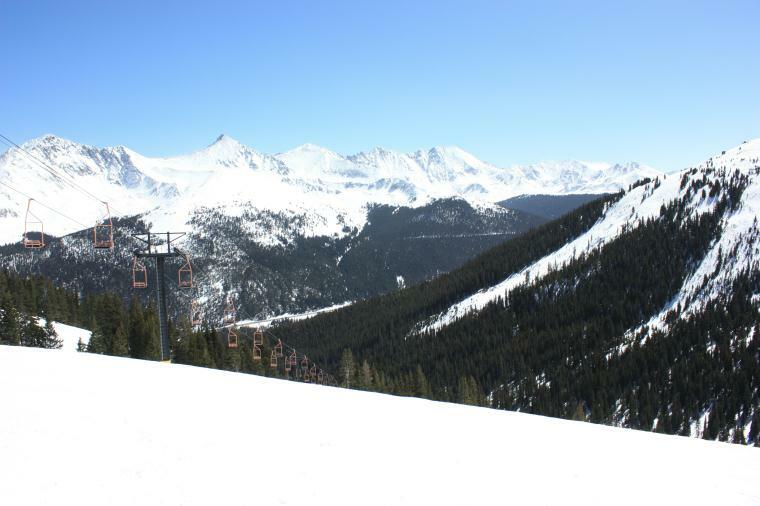 Despite there not being any new snow on Monday at Copper, it was still an awesome time and gorgeous blue sky day. We arrived around 11am to a full parking lot. 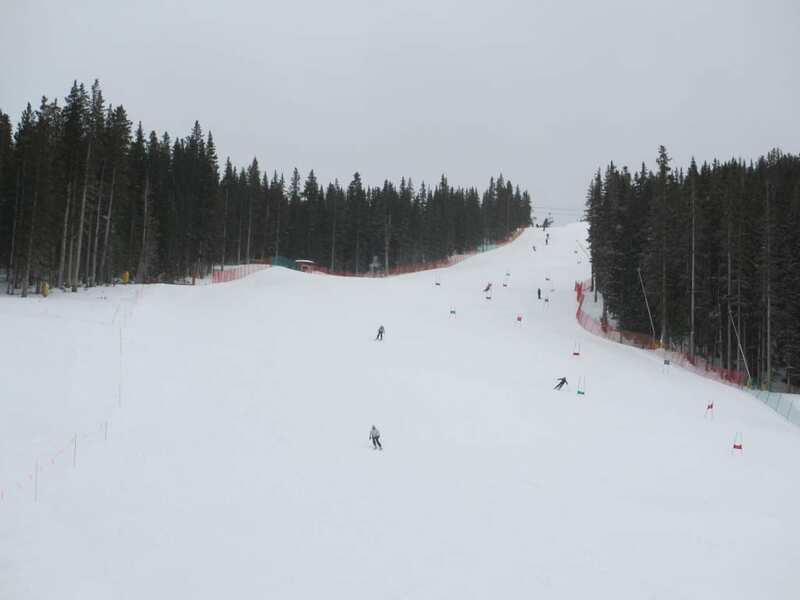 The terrain on the front side of the mountain is mostly blue groomers with some more difficult runs near the top. 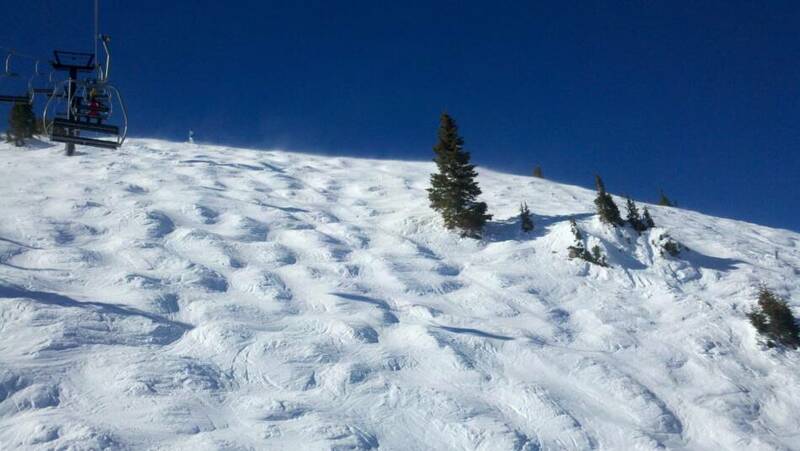 The groomers were in great condition, allowing you to really bomb if you wanted to. 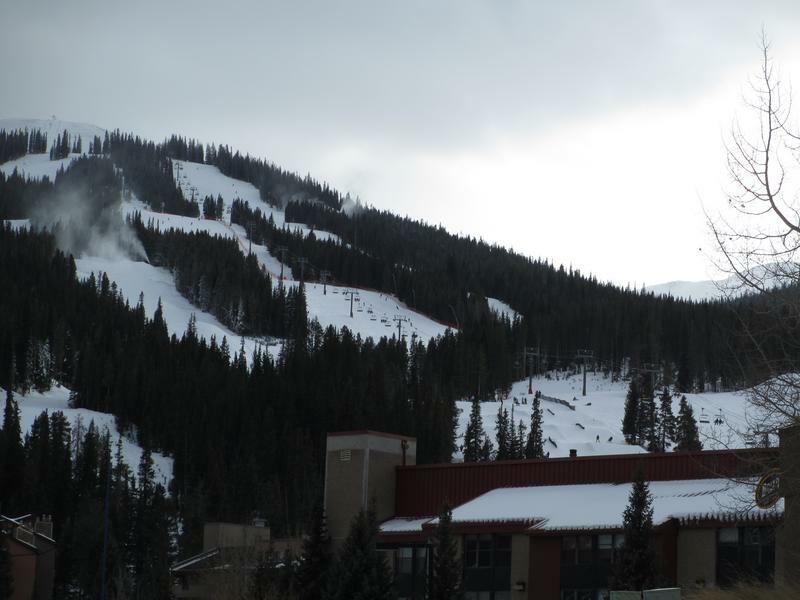 The back of Copper Mountain consists of bowl skiing at the top which leads into groomers at the bottom. 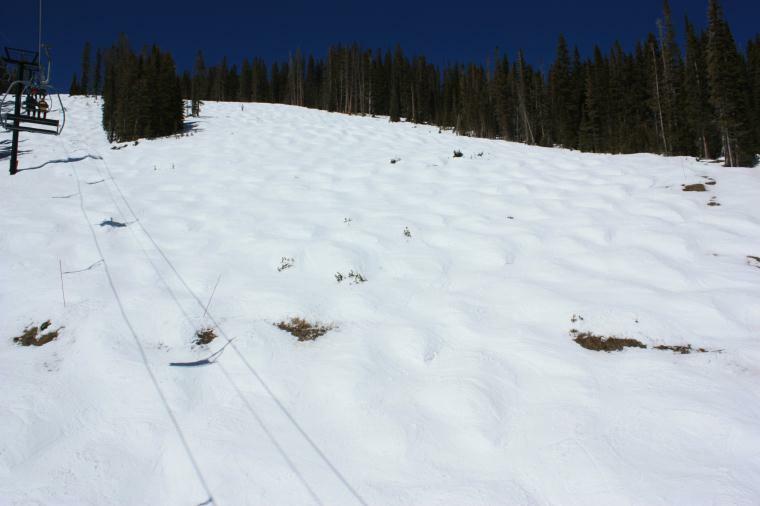 The bowls were pretty chewed up, but were more rideable than the Vail bowls a couple days ago. 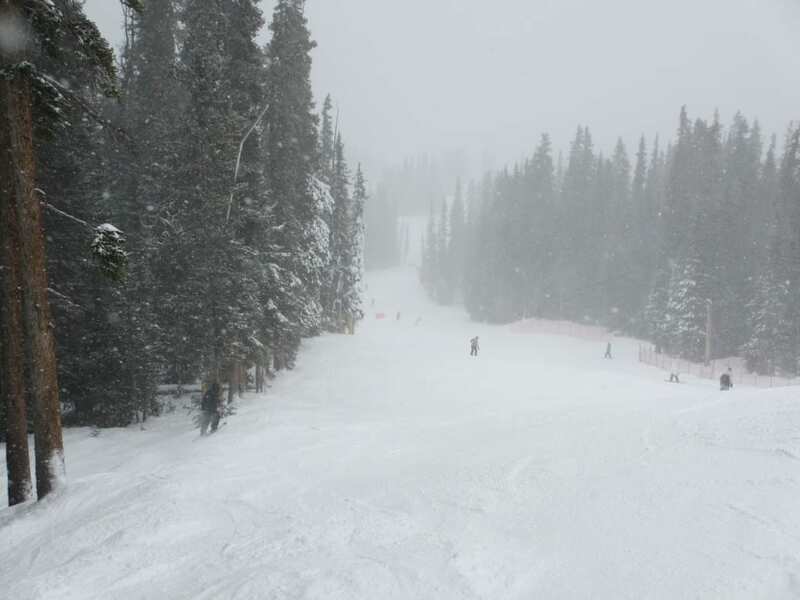 There is a nice tree run at the bottom of east side bowl. 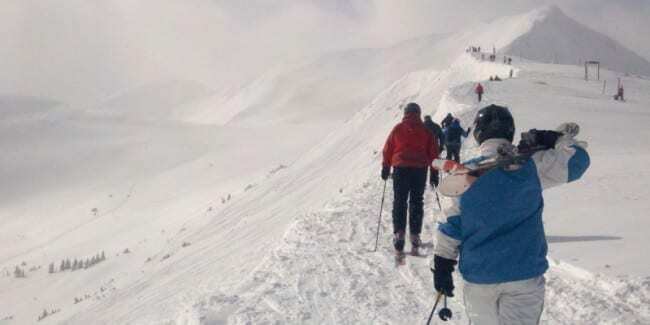 There is also hike to terrain for the back bowls. 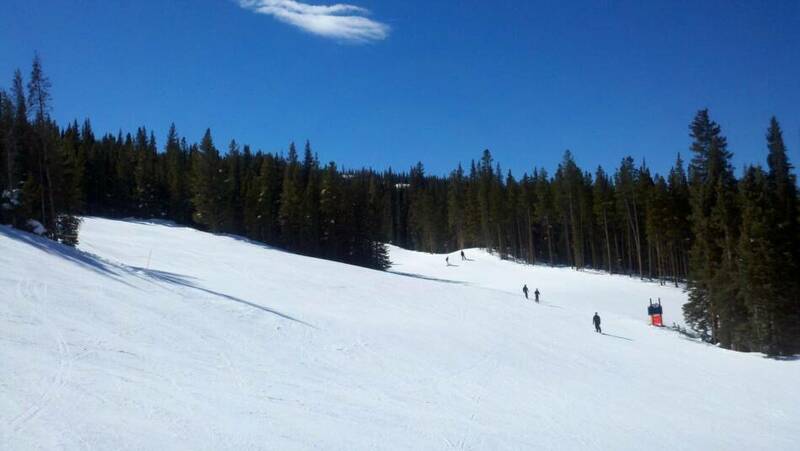 The back bowls were showing signs of spring skiing towards the bottom of each run. The snow was wet and slushy. 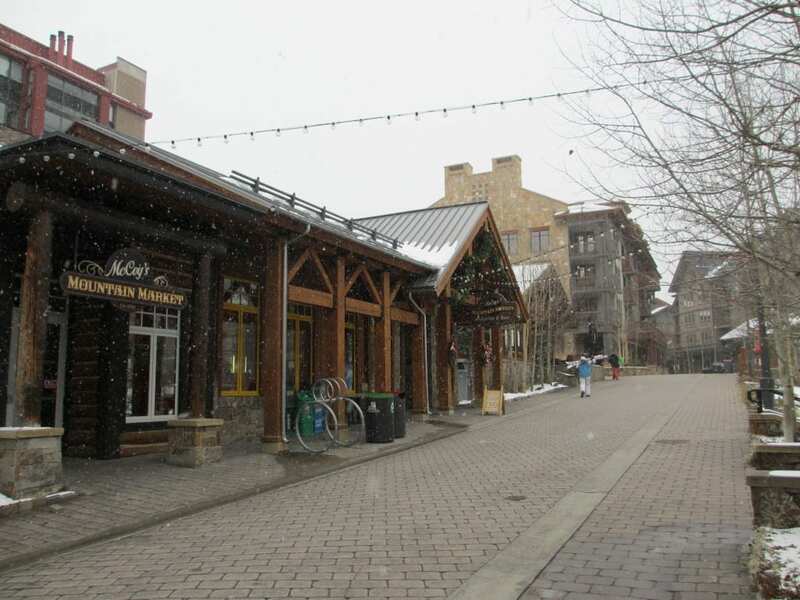 After skiing, we grabbed a bite to eat at Pizza Carlo (now closed) in Copper Mountain’s Center Village. It was okay, not worth the higher prices though. Parking area and east side trails. 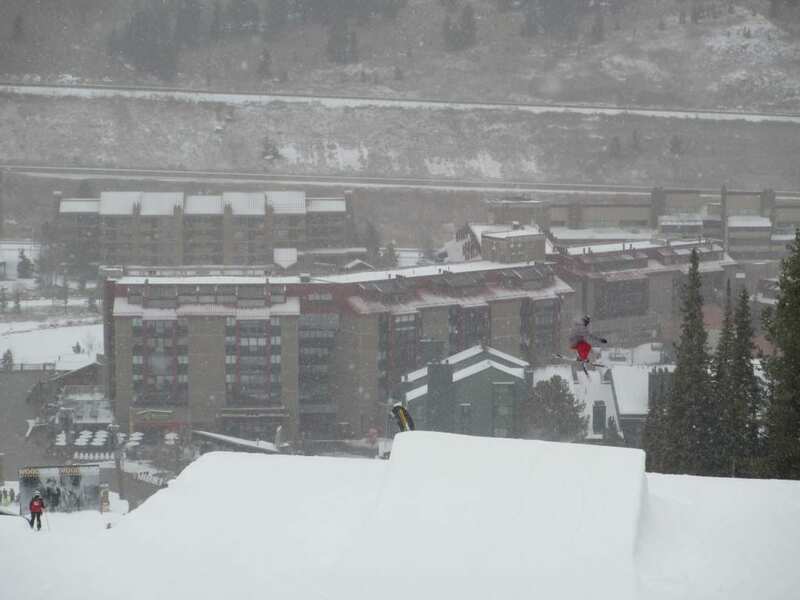 Half pipe by center village. View of I-70 towards Frisco from mid mountain. 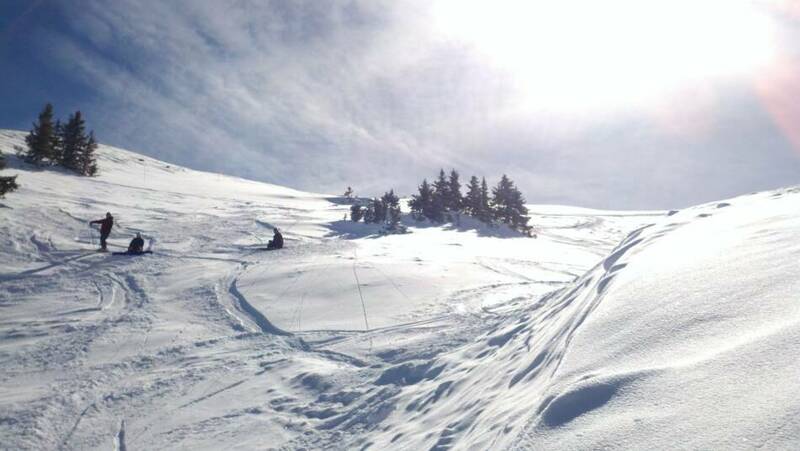 Tree run at bottom of bowl. Little chair lift taking you up one of Copper's bowls. 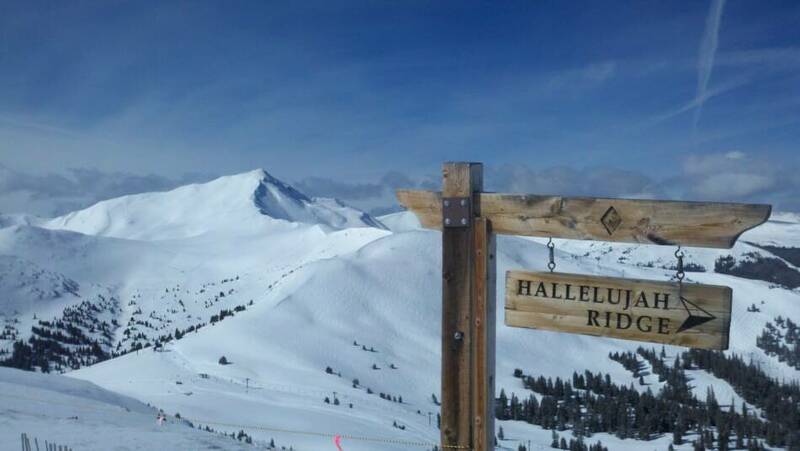 Hike to terrain for Copper back bowls. Matt launching off cornice in Union Bowl. 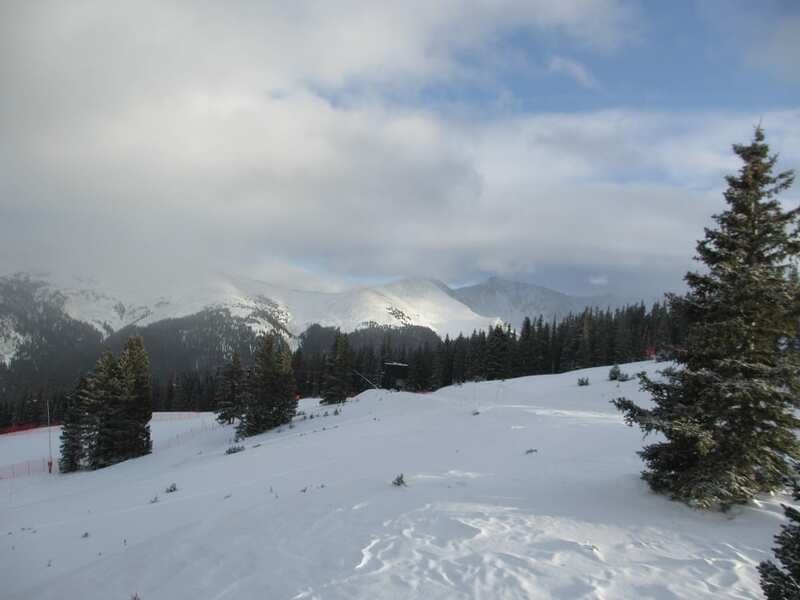 January 10, 2011 – Eight Inches of fresh pow and sunny skies at Copper Mountain made it a phenomenal Monday to be out snowboarding. Temperatures were low and face masks recommended. 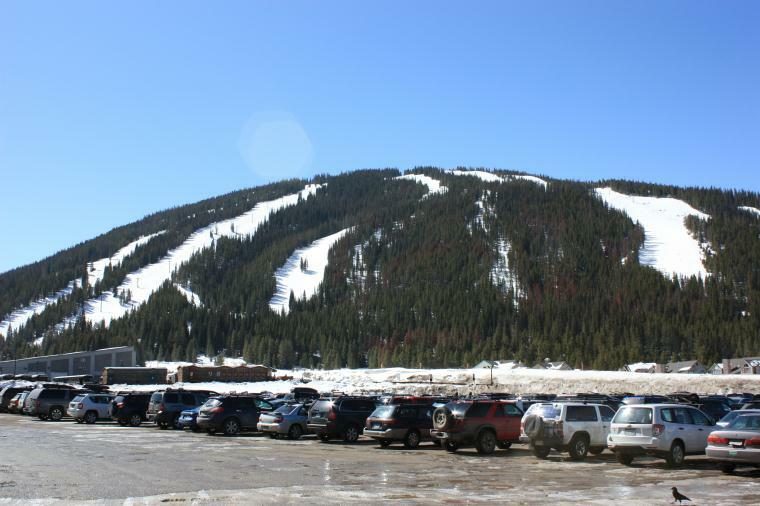 During the weekday at Copper Mountain you can park right near Central Village in the Chapel Lot for $5. It allows for an easy-going tailgate while you get your gear on – no need to worry about missing a bus. There were fresh lines for the taking all morning and most of the afternoon. 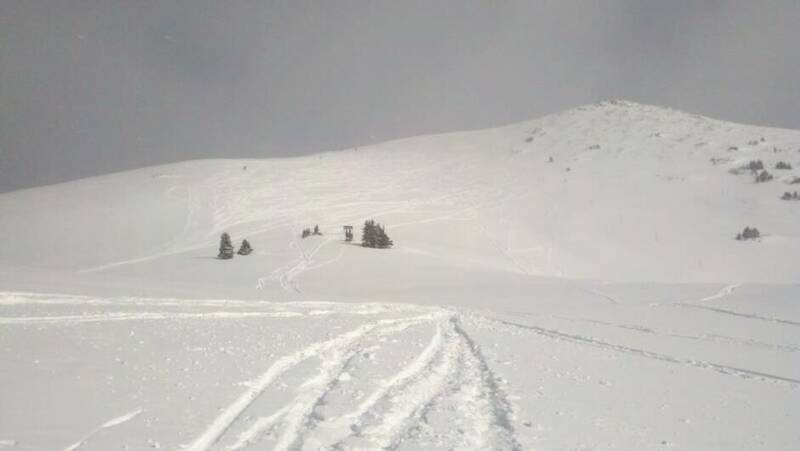 When we put in the effort to hike, we were rewarded with top to bottom tracks. 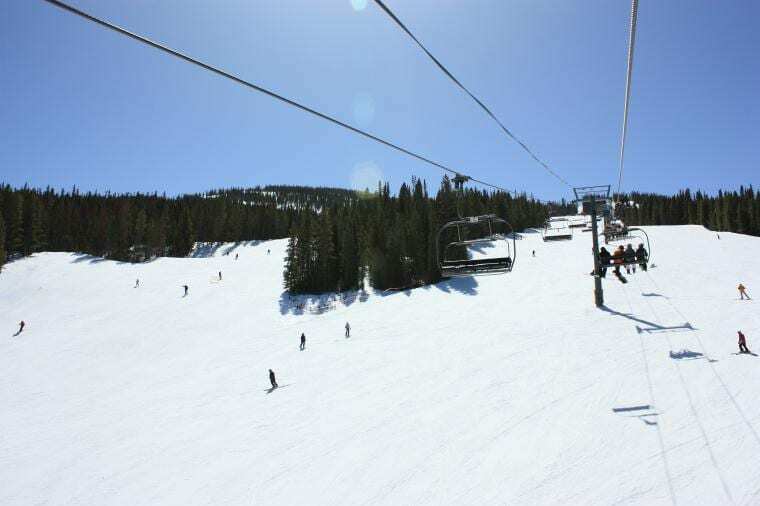 Copper Mountain runs a free snowcat on some days to help transport you to the freshest snow on Tucker Mountain. It’s definitely worth going if they are running it; usually from 10am to 1:30pm. 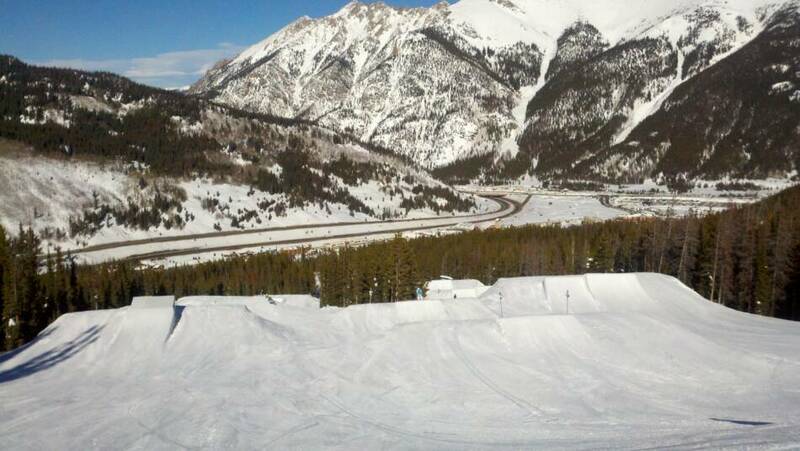 View of Half Pipe from Chapel Parking Lot. 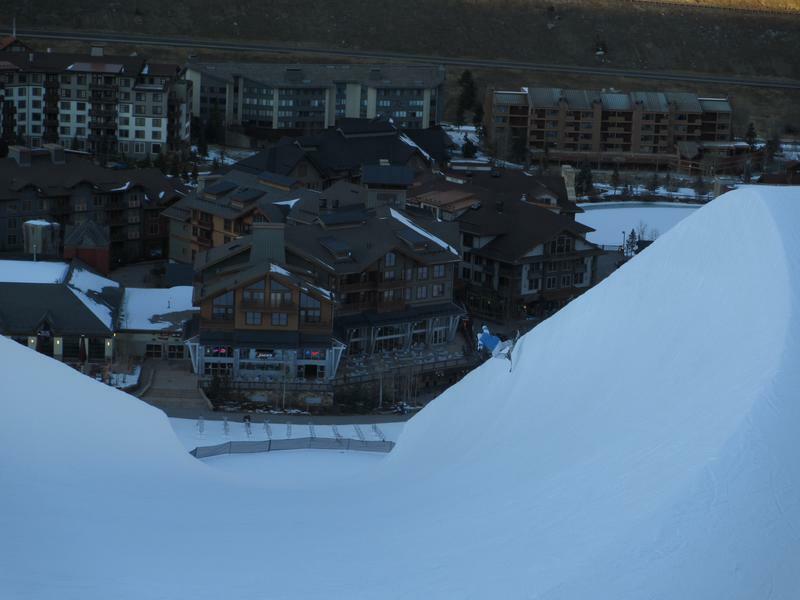 Super Pipe above American Eagle Chairlift. Fresh powder run down back side. 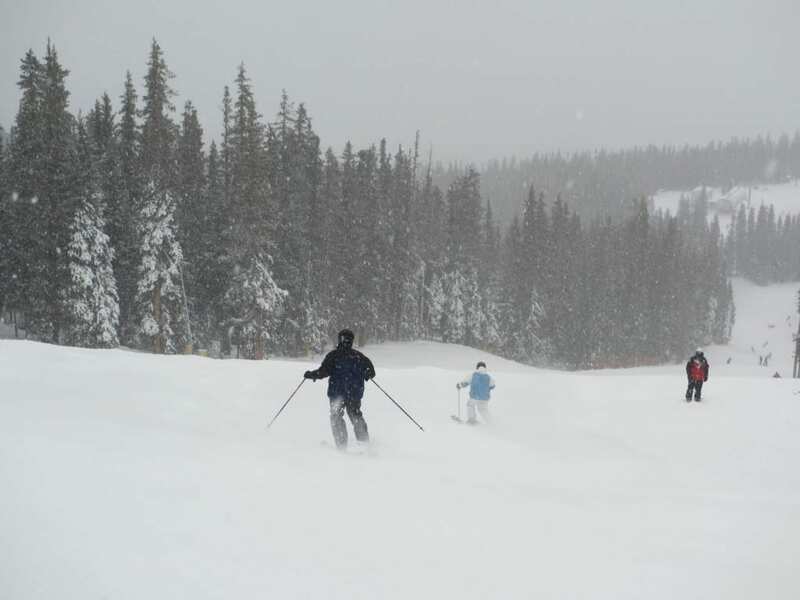 February 14, 2011 – Copper offers a big mountain experience within an hour and a half drive from Denver. 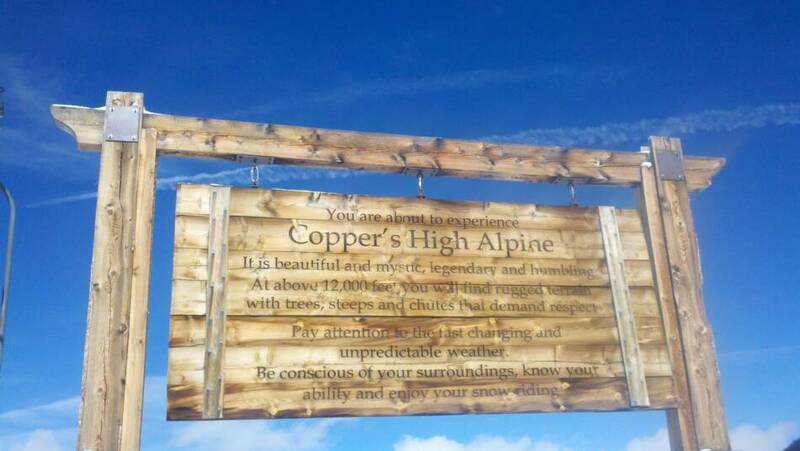 We went to Copper for an afternoon session of cruisers on a warm, blue sky day. The snow was a little hard, so we stuck mostly to groomers. 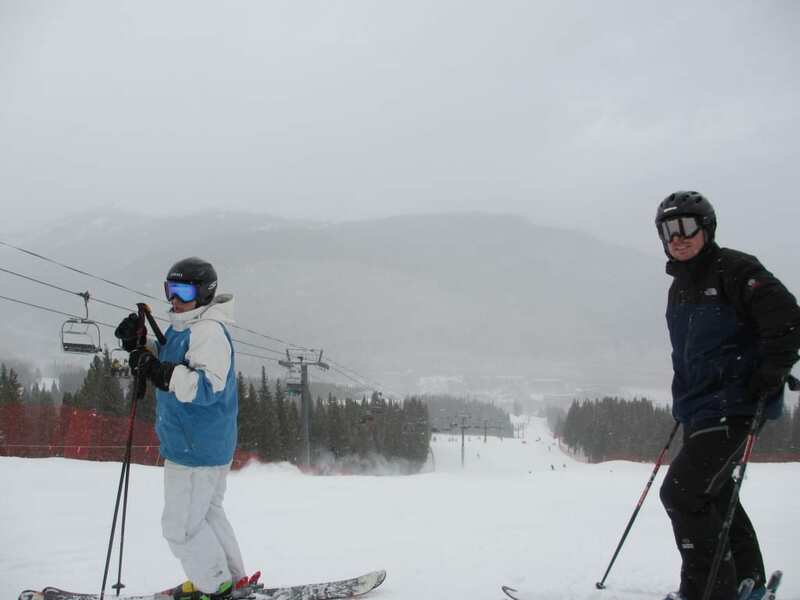 We did test our fate on a giant mogul run, only to confirm that the snow was in fact crud. 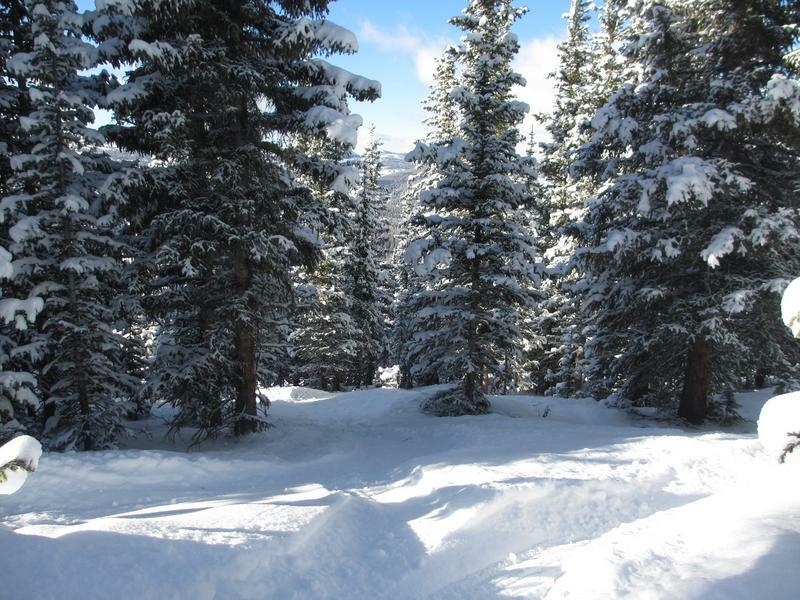 There are some nice tree runs down the backside of the mountain that also hold some late afternoon powder stashes. 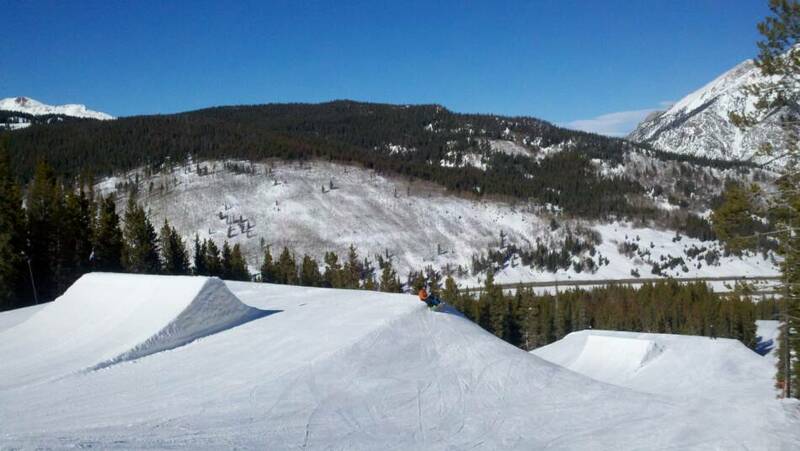 Copper is the place to go to learn tricks and jibs. They have an indoor facility to practice year round called Woodward. 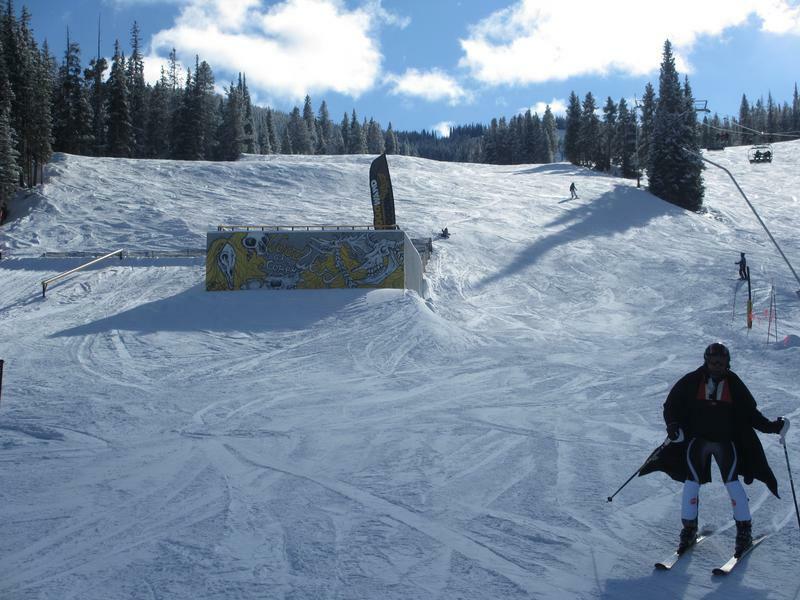 They also have a big terrain park on the mountain called Catalyst where you can show off want you learned in the foam pits of Woodward. 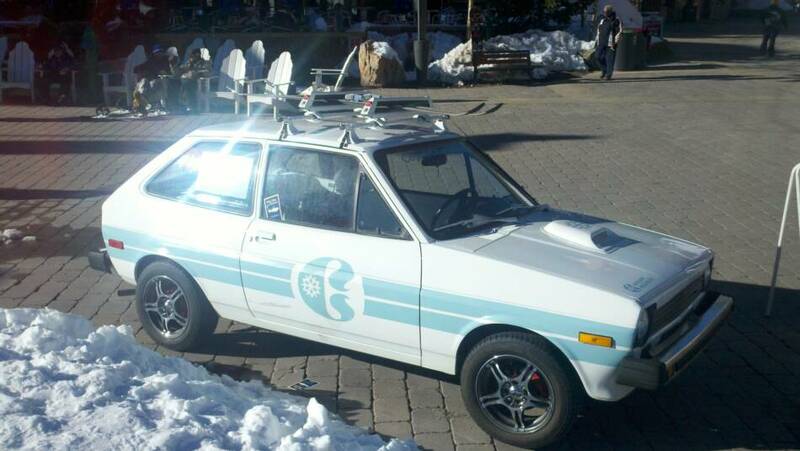 After becoming sore from watching too many crashes, we packed up the cars and headed back to Denver. 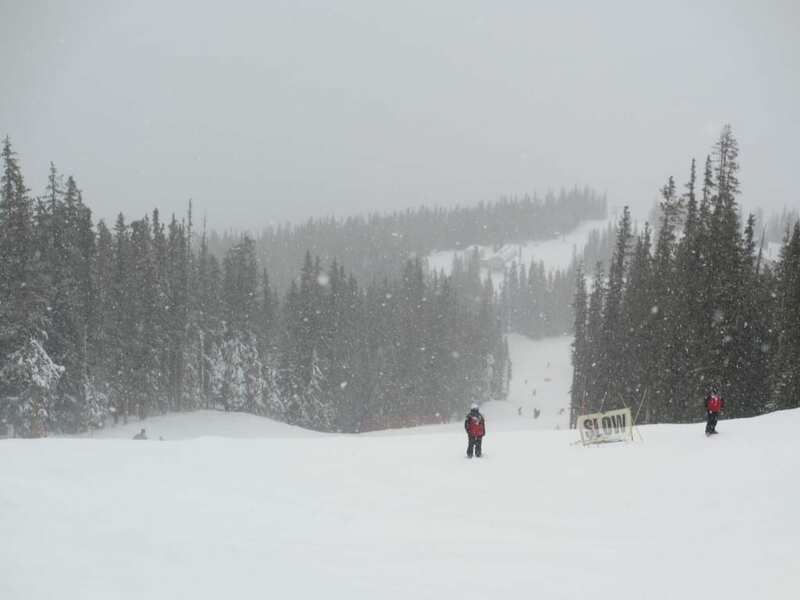 March 7, 2011 – Another storm rolled through the Rocky Mountains this past weekend and brought a layer of new snow to Colorado ski resorts. 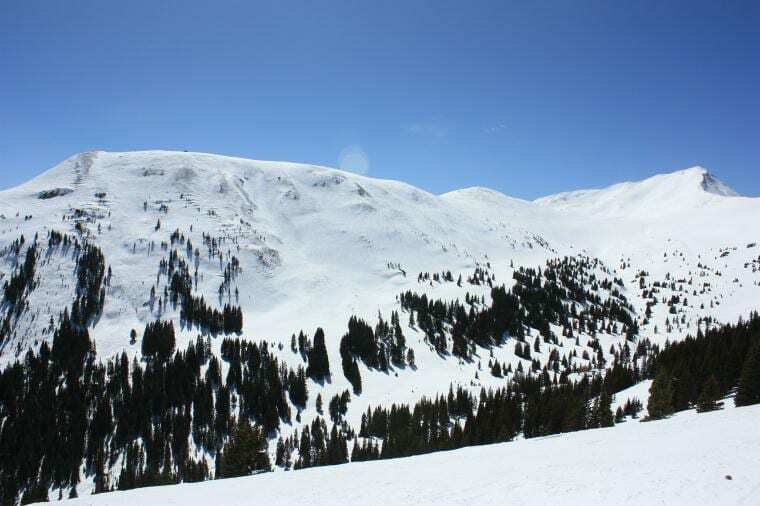 Copper Mountain has great skiing above the tree line, so that’s where we headed. 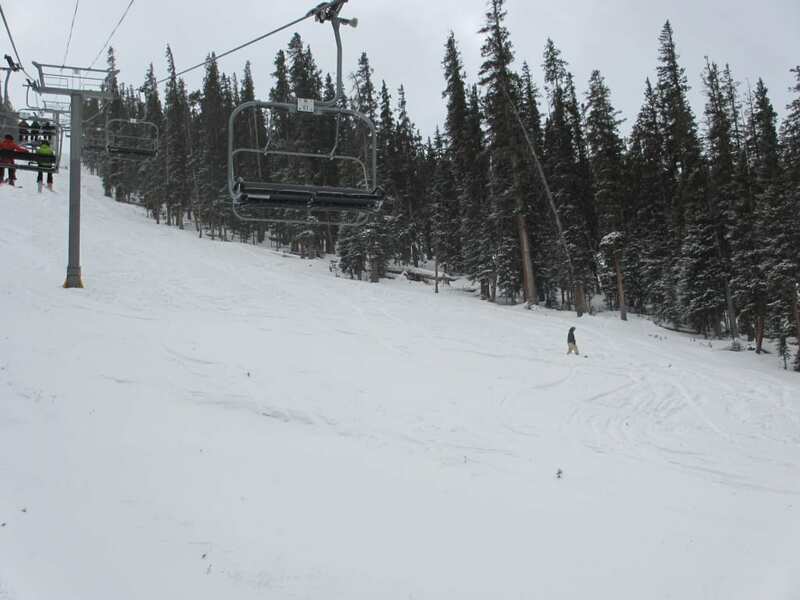 There were fresh lines at Keystone Resort on Sunday and even better conditions on Monday at Copper Mountain. 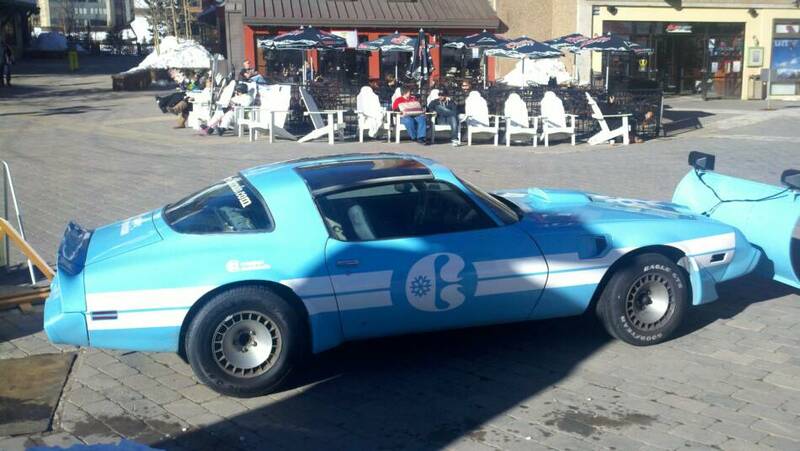 Keystone was offering five dollar rides on its snowcat to get freshies. 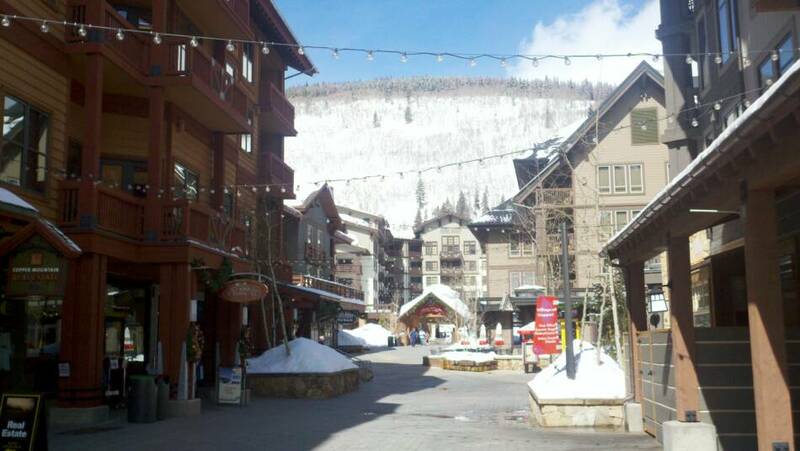 The central village at Copper has an ample amount of dining and shopping options for apres ski. Climbing wall in Center Village. 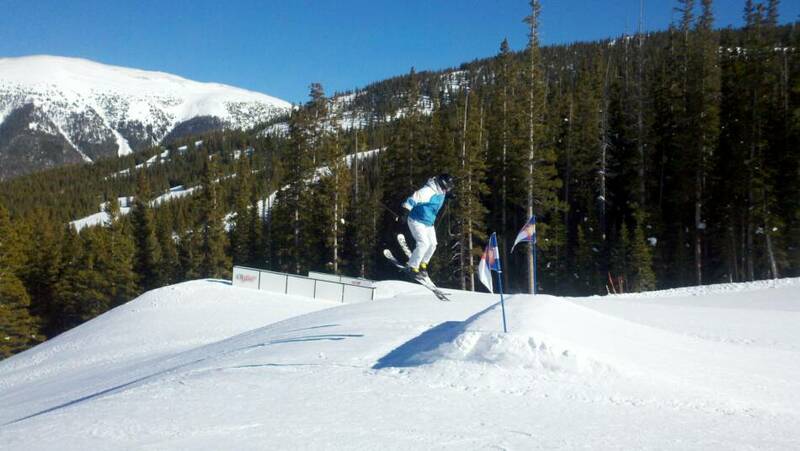 Matt A. launches for a 360 at Copper Mountain. 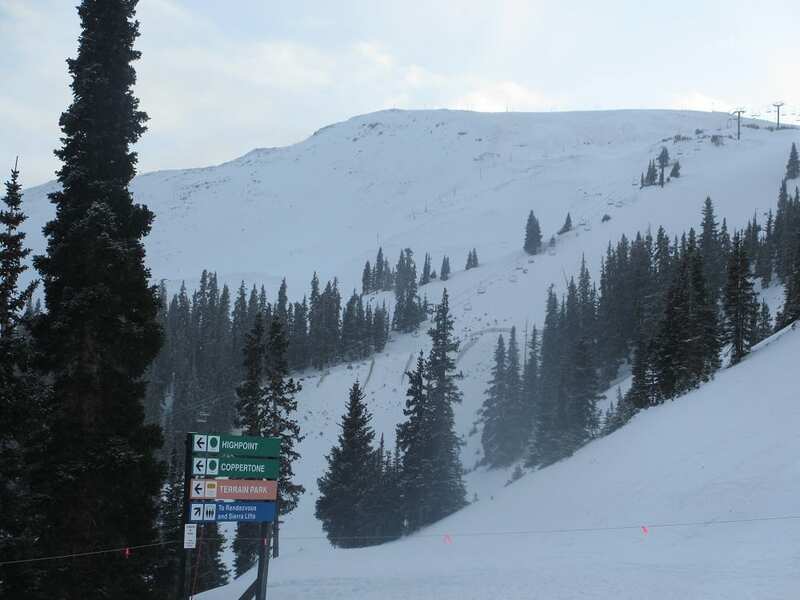 November 14, 2011 – Copper Mountain had top-to-bottom open up for riding today. There was only one trail down from each chair lift and there were two lifts open. 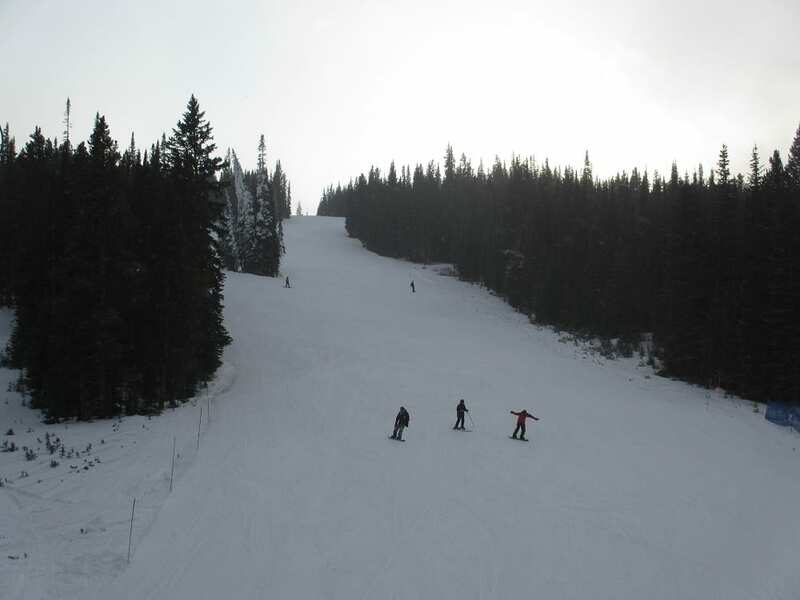 More runs were groomed and ready but they were only available to the ski club. The short walk through Center Village from paid ($5) parking. Ice skating lake appears frozen over. 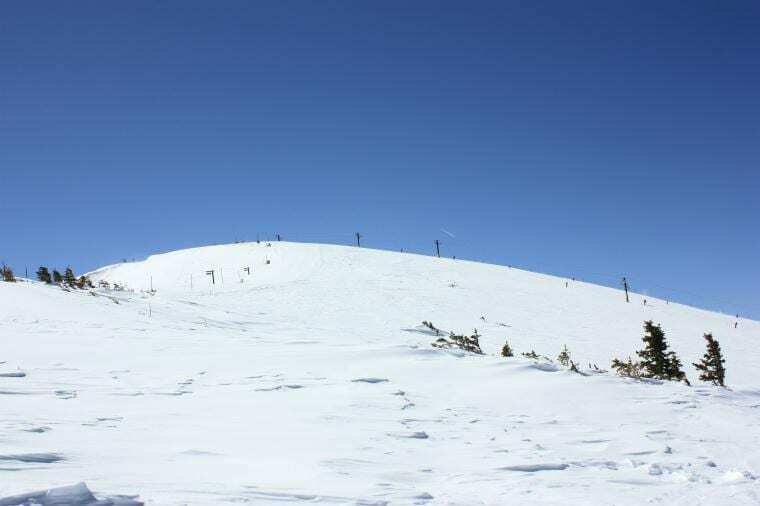 The one trail open to the public from the summit. 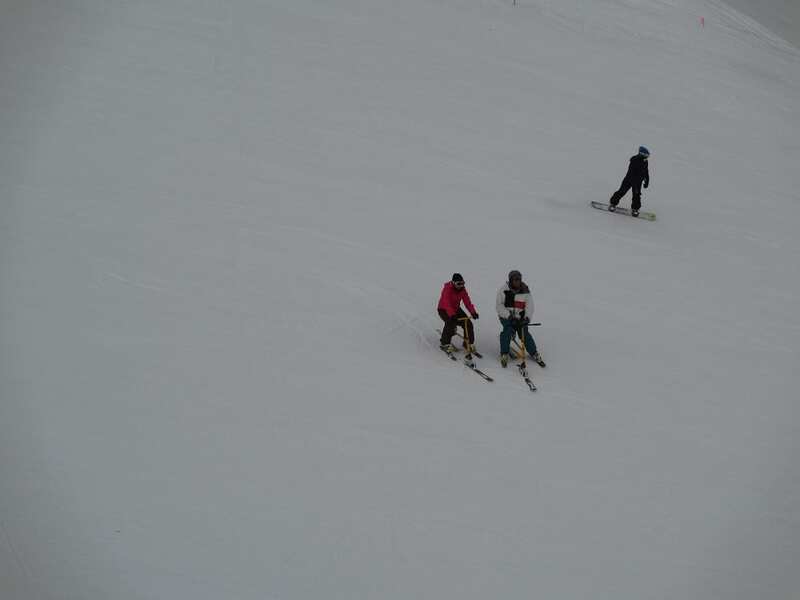 Ski Patrol slows down the fun. 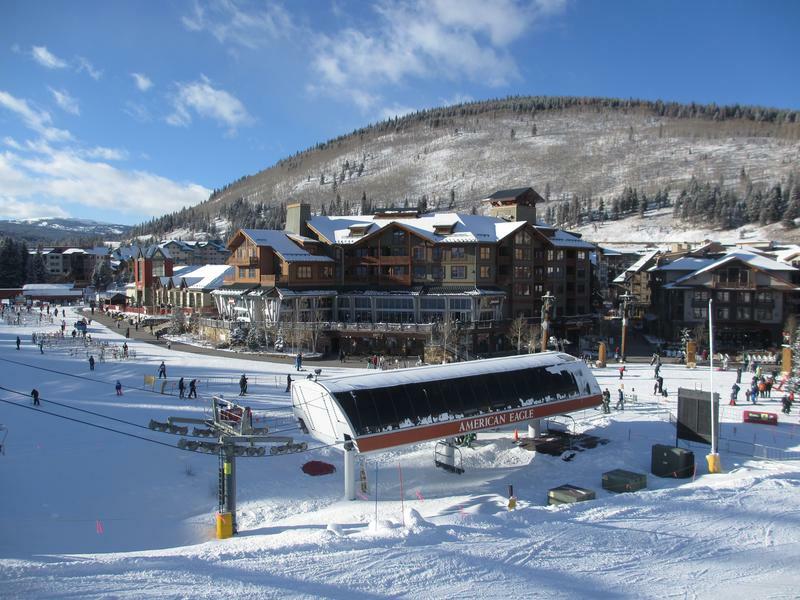 Skiers get eyed up by the patrolman. 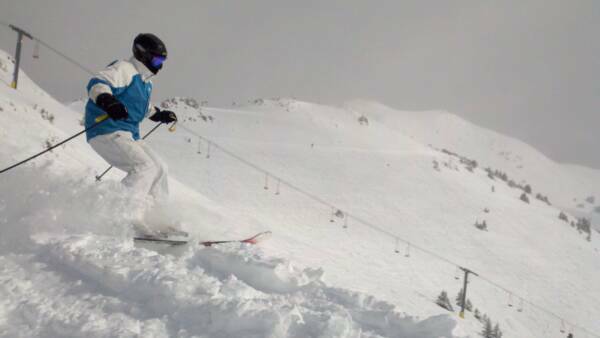 One of the runs that was only open to the ski club. 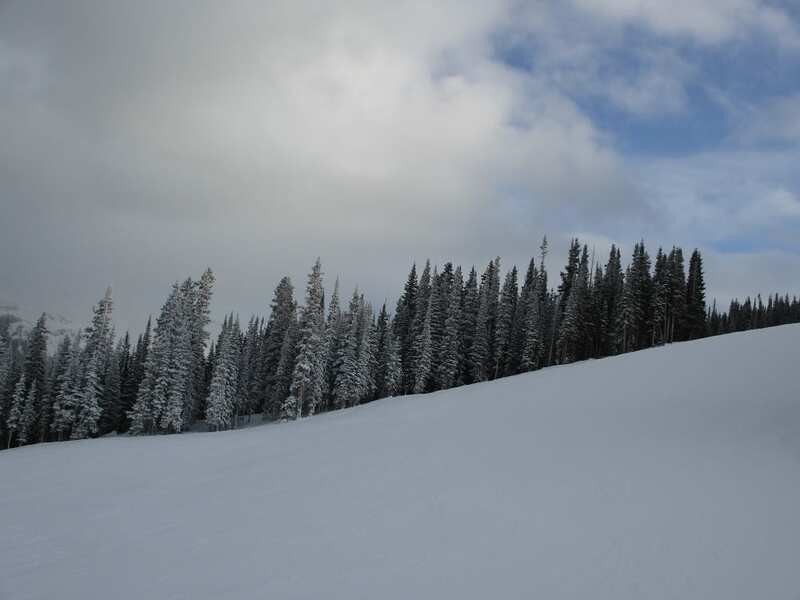 Snowboarder takes detour onto the closed powder field. 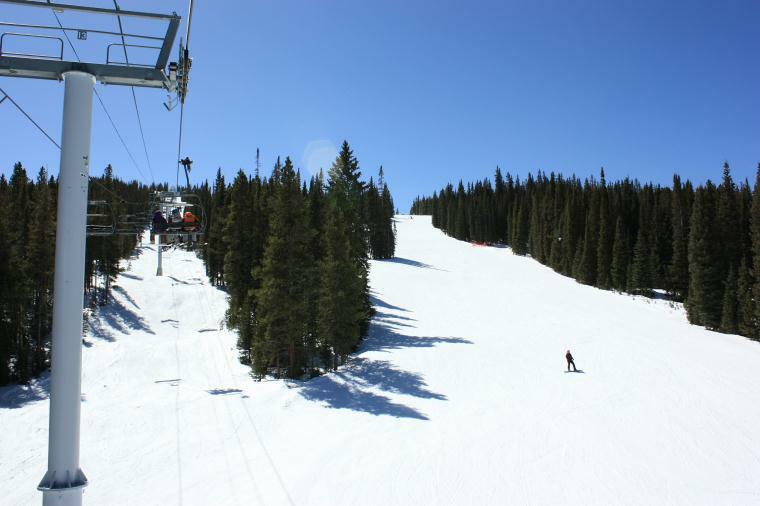 View of the upper portion of the ski area. The final run down to the base. 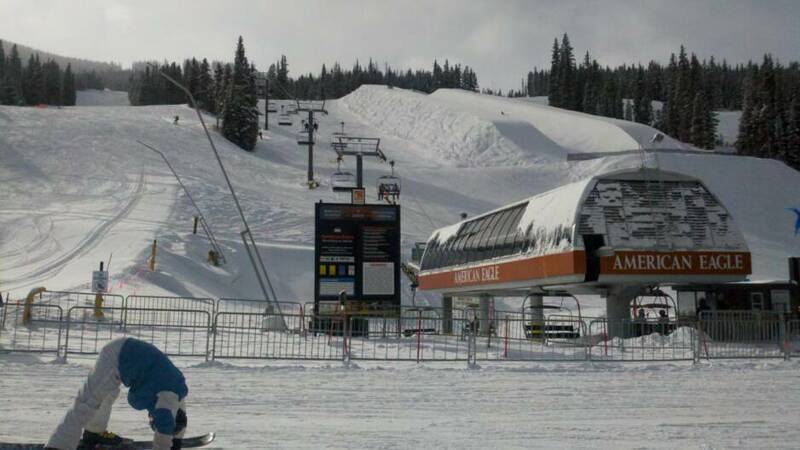 American Eagle Lift at Copper Mountain. 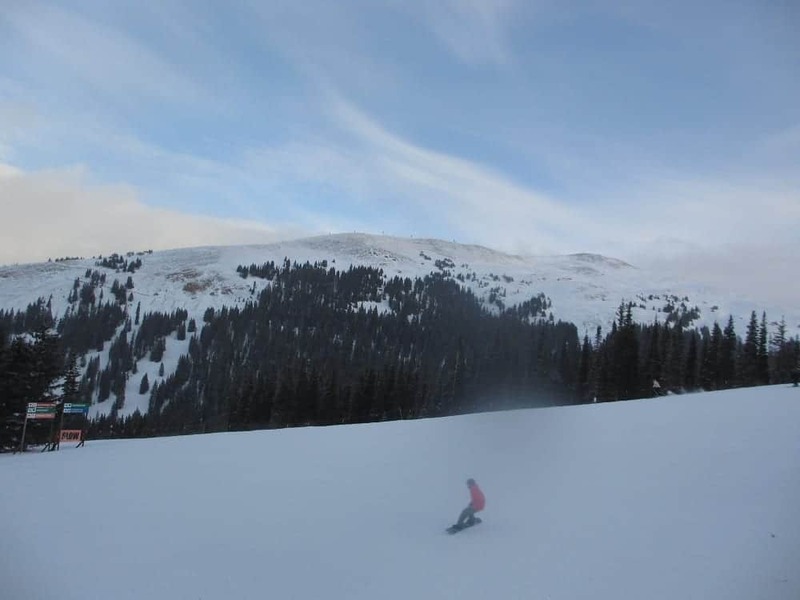 December 3, 2011 – Copper Mountain had about three hundred acres open and a couple additional lifts. 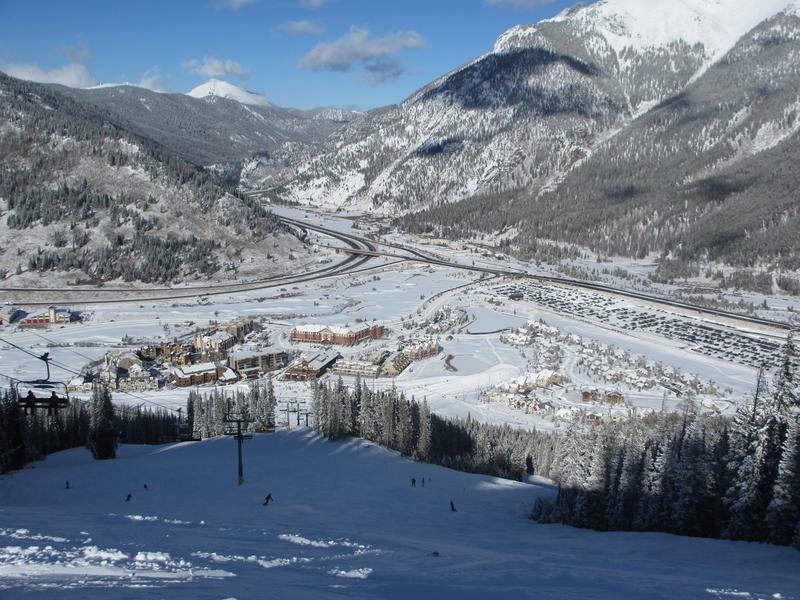 There were three express lifts open from the base: Super Bee (East Village), American Eagle (Center), and American Flyer (Center). 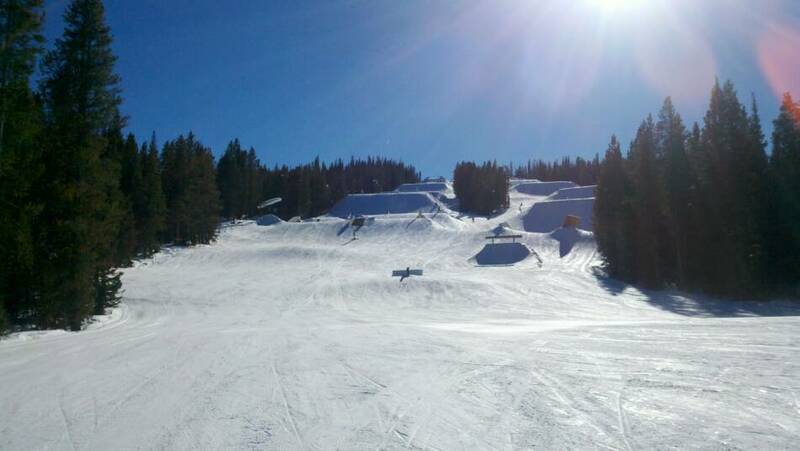 The Terrain Park features several rails and jumps. 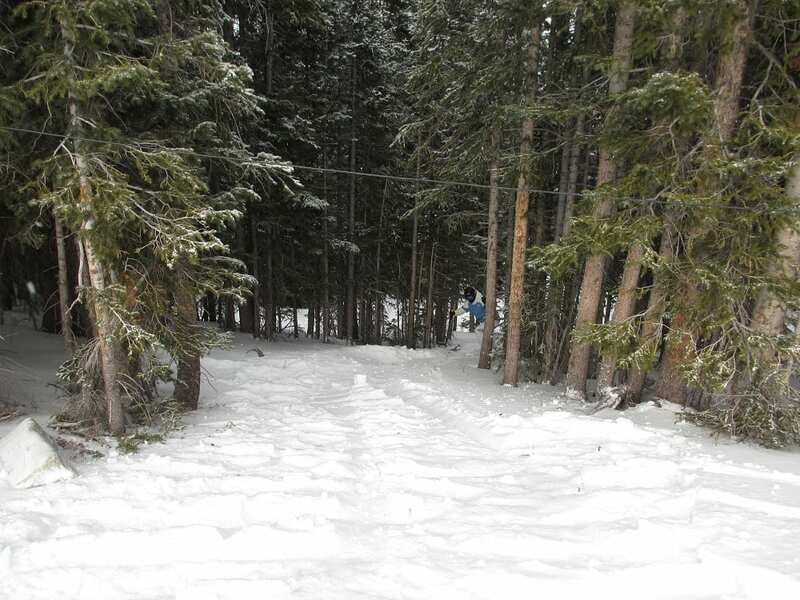 A trail off the Super Bee lift. Took a wrong turn into the trees! 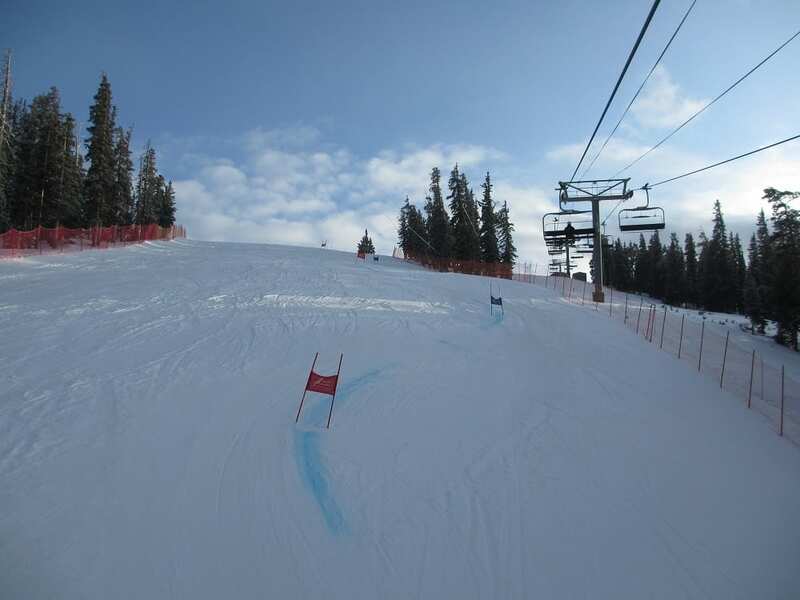 A trail reserved for ski racing. 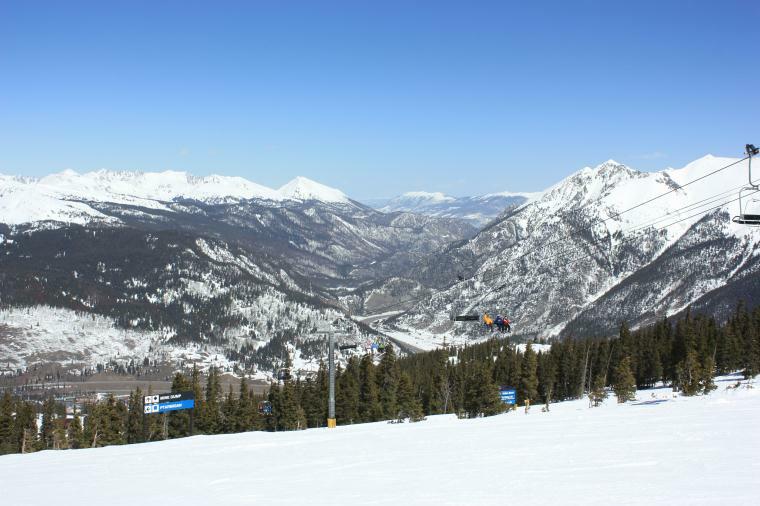 Scenic views from the chairlift. 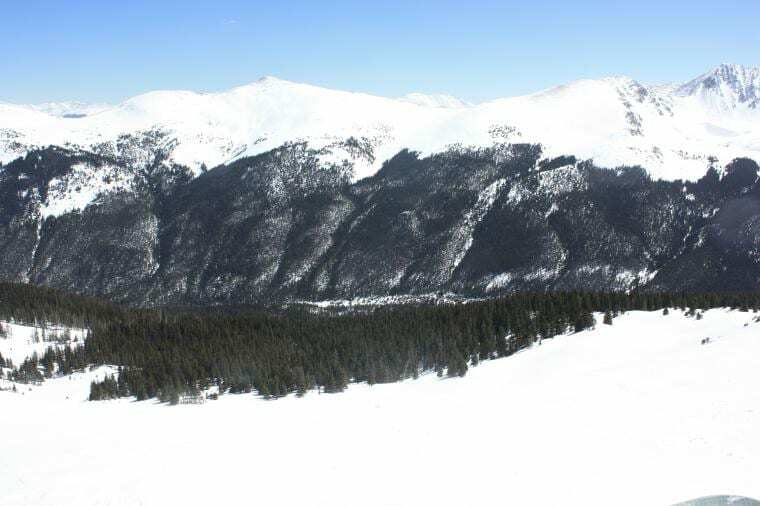 Mountain views from the top of the American Eagle lift. 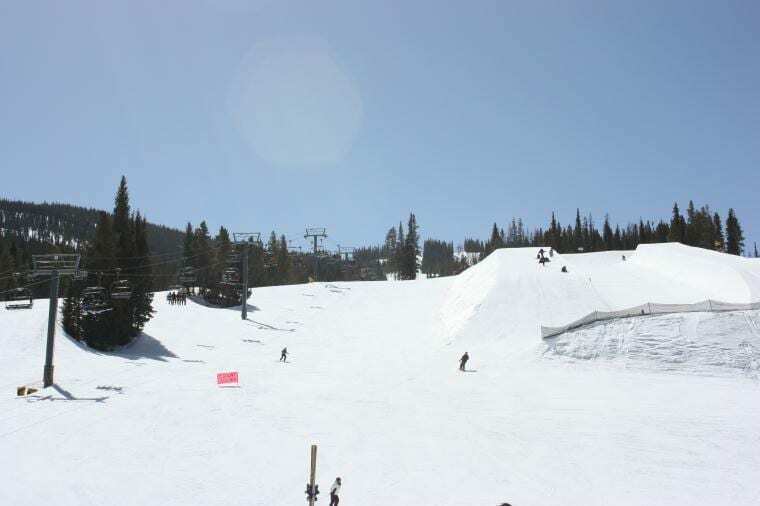 An intermediate run off the American Flyer lift. View of the not-yet-opened Union Bowl. 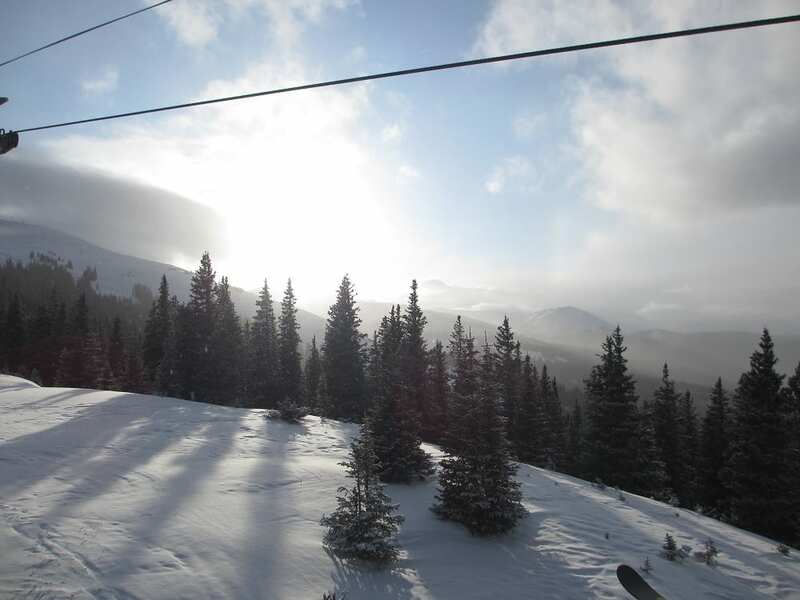 Views from atop American Flyer lift. 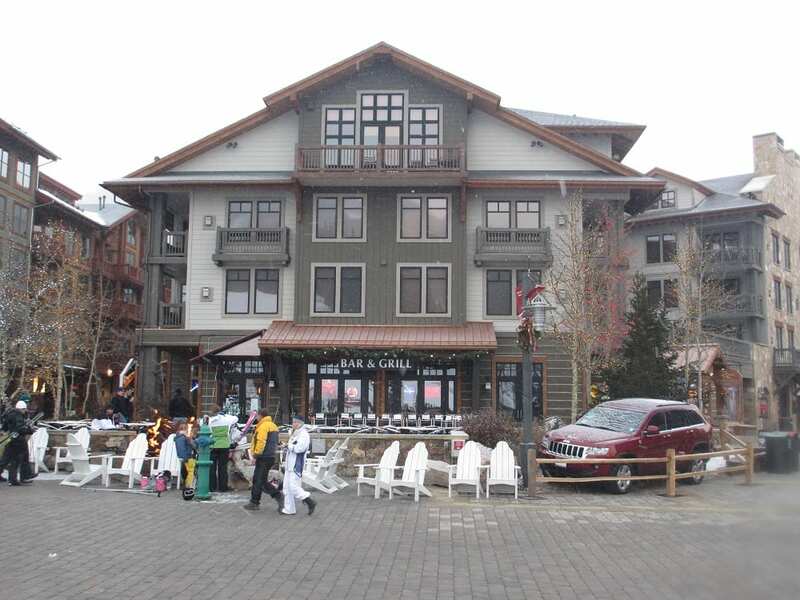 A bar & grill at the base of the Center Village. Finished skiing for the day.